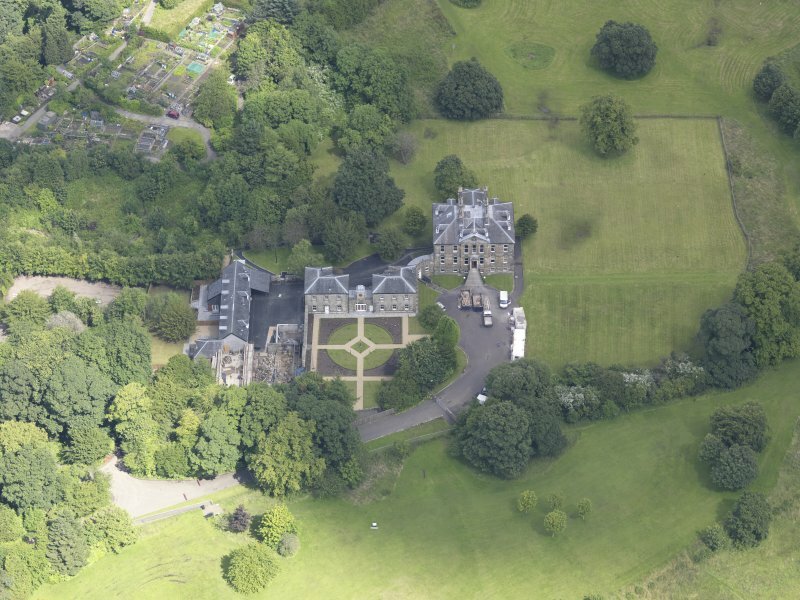 Oblique aerial view of Cumbernauld House, taken from the N.
Detail of the railings to the entrance steps on the South-West (principle) elevation of Cumbernauld House, Cumbernauld. 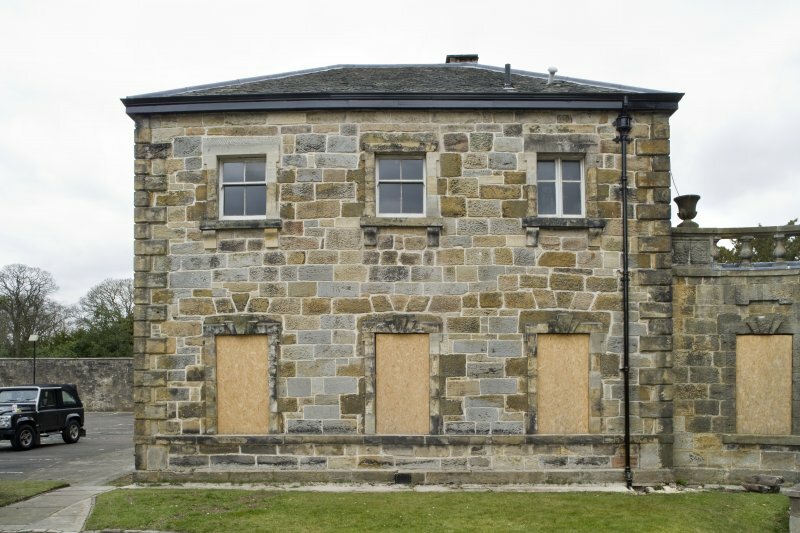 View of the South-West (principle) elevation of Cumbernauld House, Cumbernauld, taken from the South-South-West. 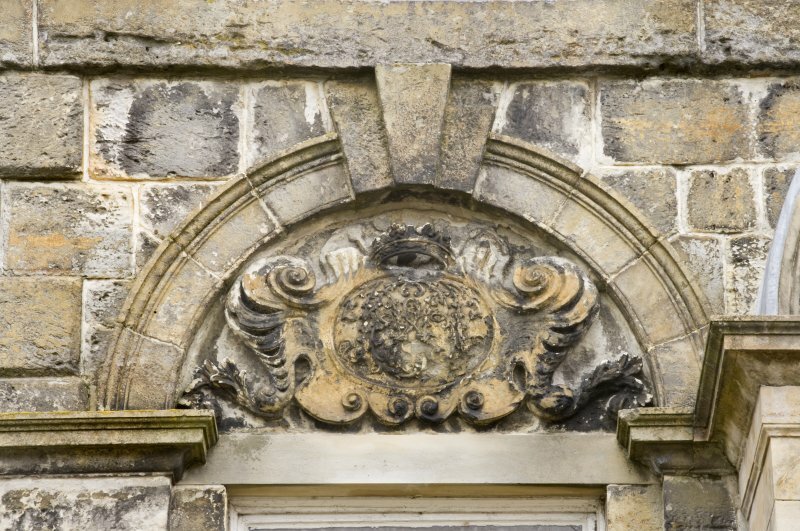 Detail of the arched pediment over first floor window of the South-West (principle) elevation of Cumbernauld House, Cumbernauld. 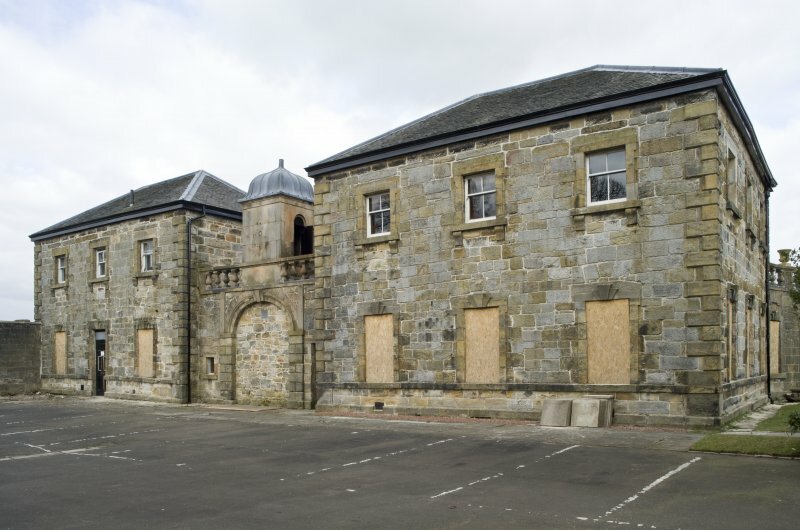 View of the courtyard to the West of Cumbernauld House, taken from the North. 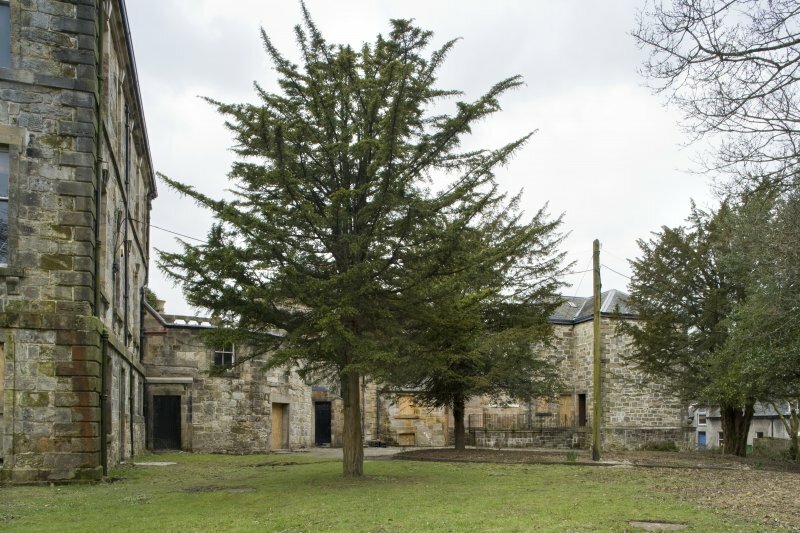 View of the courtyard to the West of Cumbernauld House, taken from the North-East. 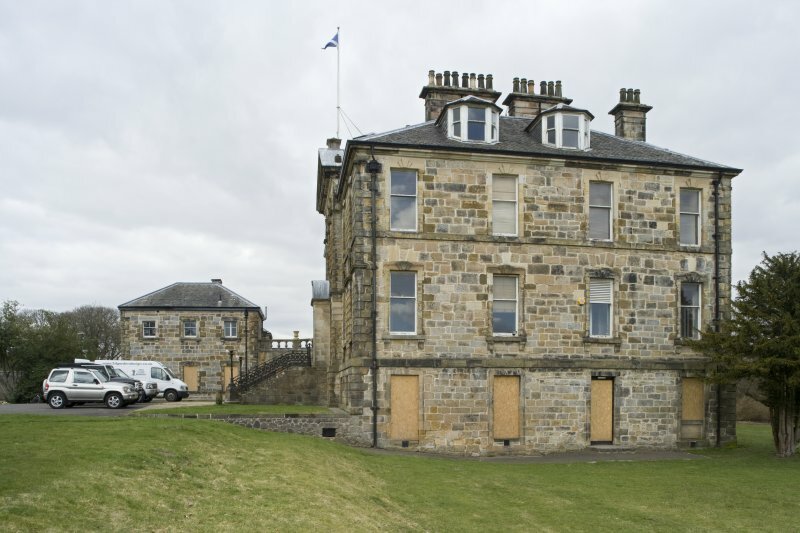 General view towards the rear of the Pavilions at Cumbernauld House, taken from North-West. 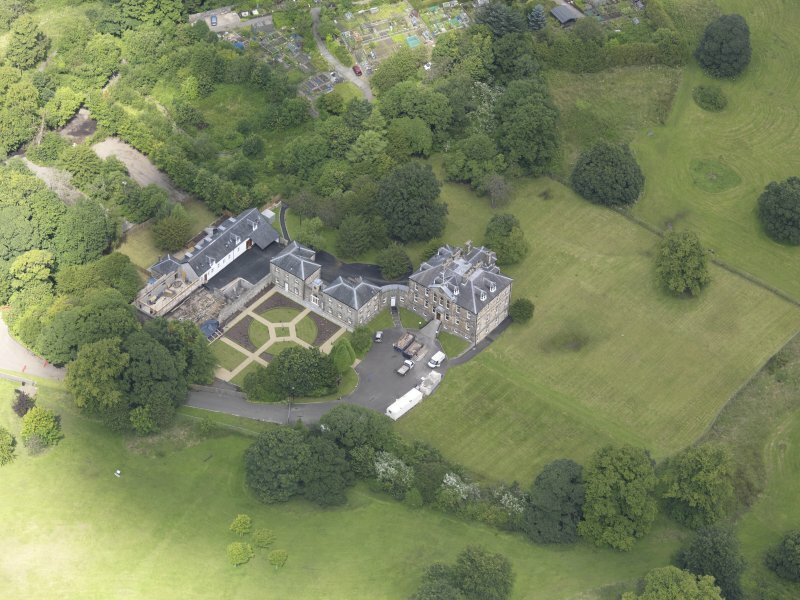 General view of Cumbernauld House, Cumbernauld, taken from the South. 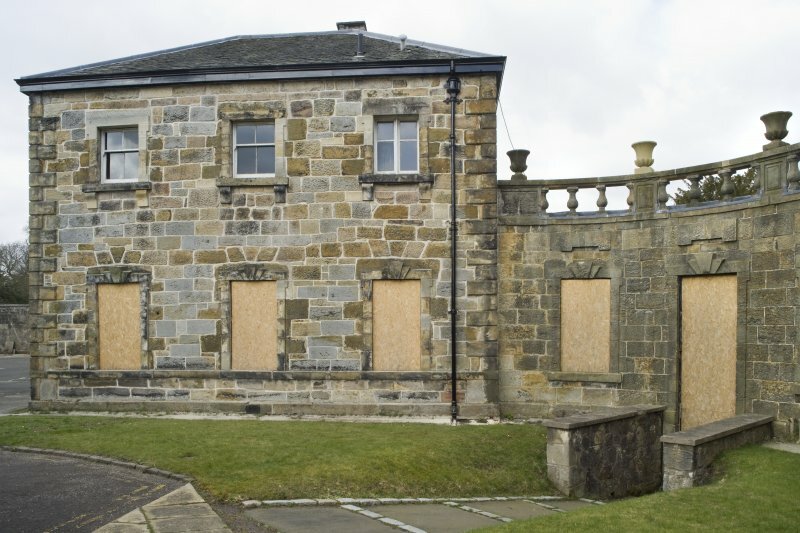 The main house and the East elevation of the Eastern Pavilion can be seen. 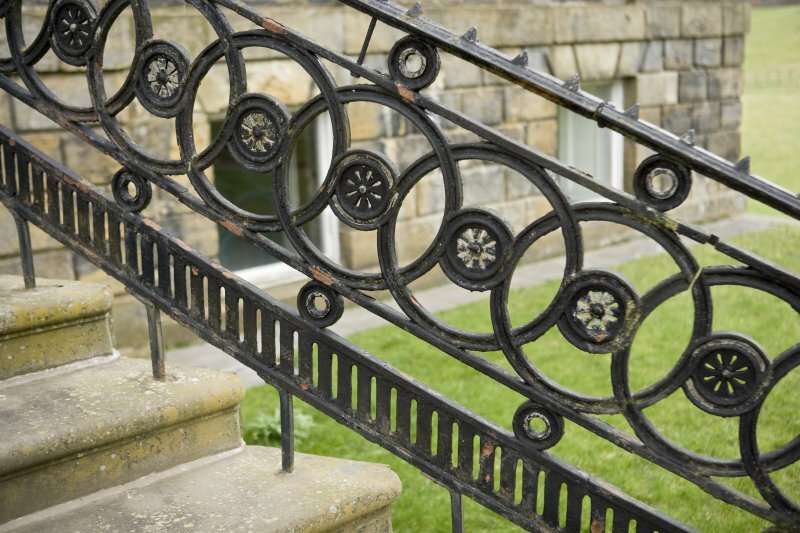 Detail of the entrance steps and balustrade at Cumbernauld House, Cumbernauld. 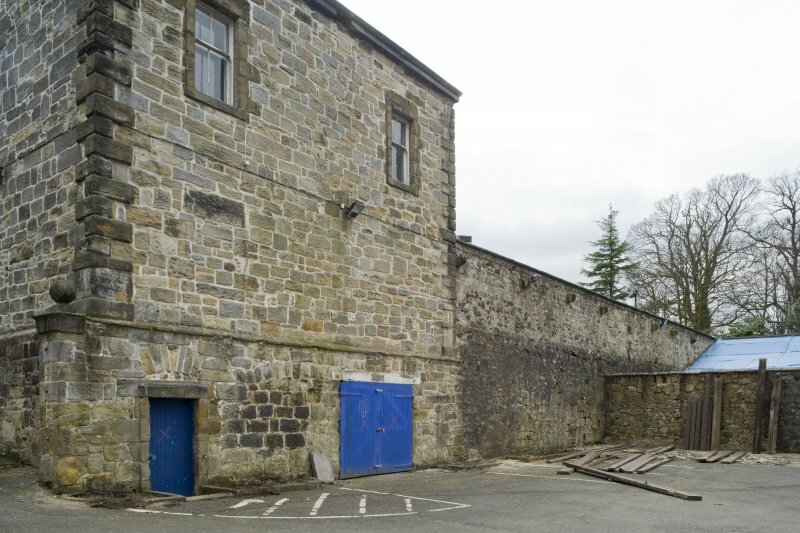 View of the South wall of the Courtyard at Cumbernauld House, Cumbernauld, taken from the West. 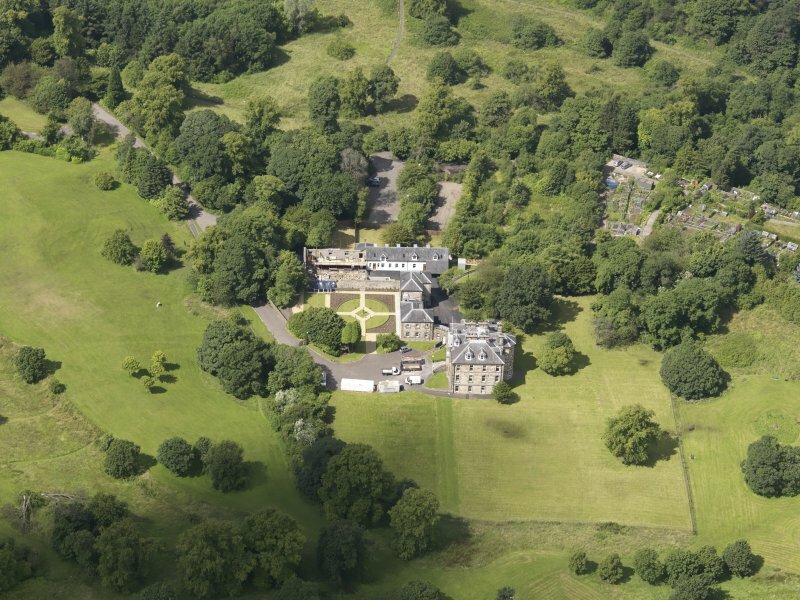 General view of Cumbernauld House, Cumbernauld, taken from the South. 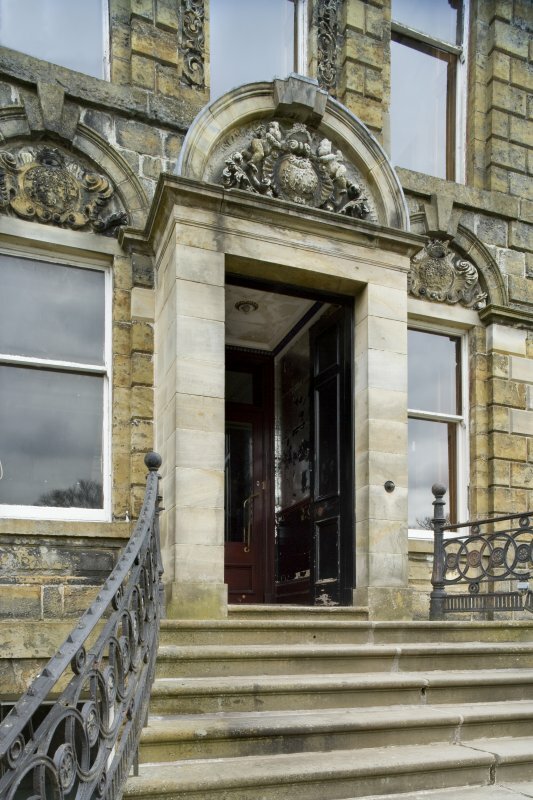 The photograph shows the main house, linking corridor and the Eastern Pavilion. 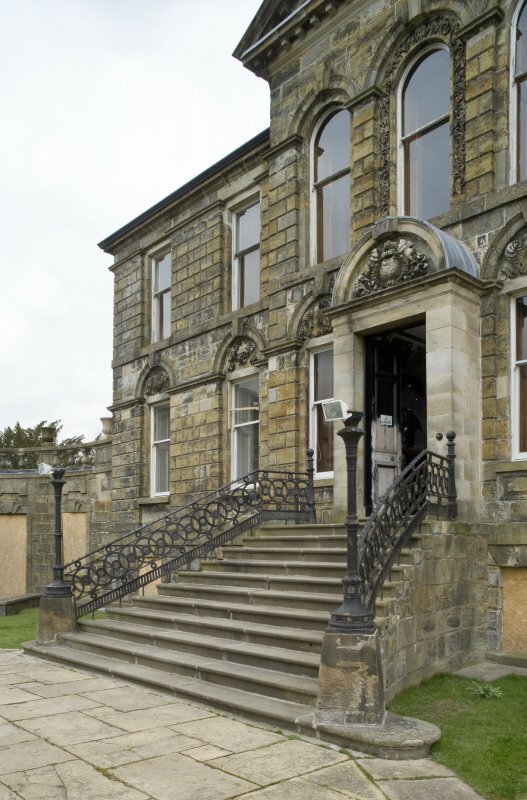 View of the entrance steps to the South-West (principle) elevation of Cumbernauld House, Cumbernauld. 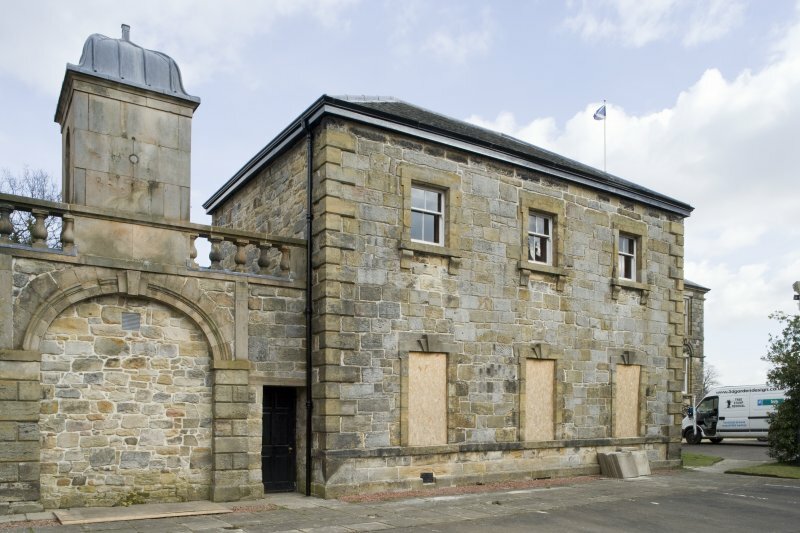 View of the West elevation of the Western Pavilion at Cumbernauld House, taken from the West. 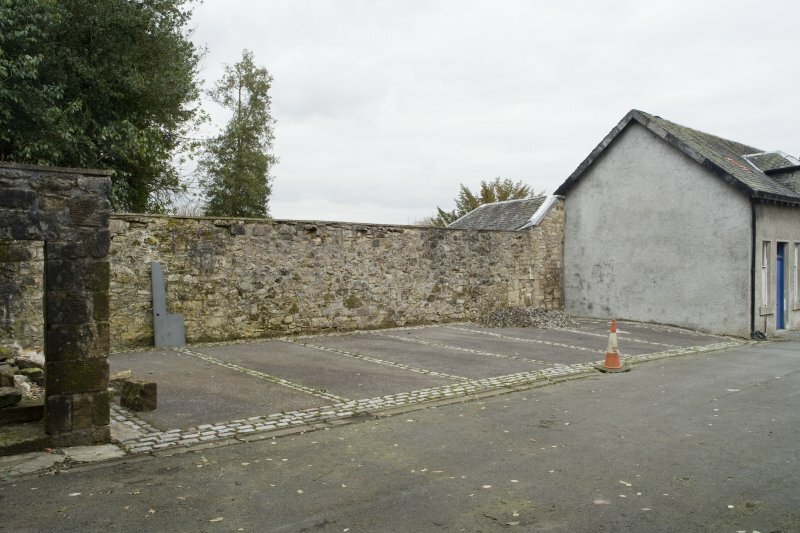 The Eastern boundary wall of the courtyard is also shown in this image. 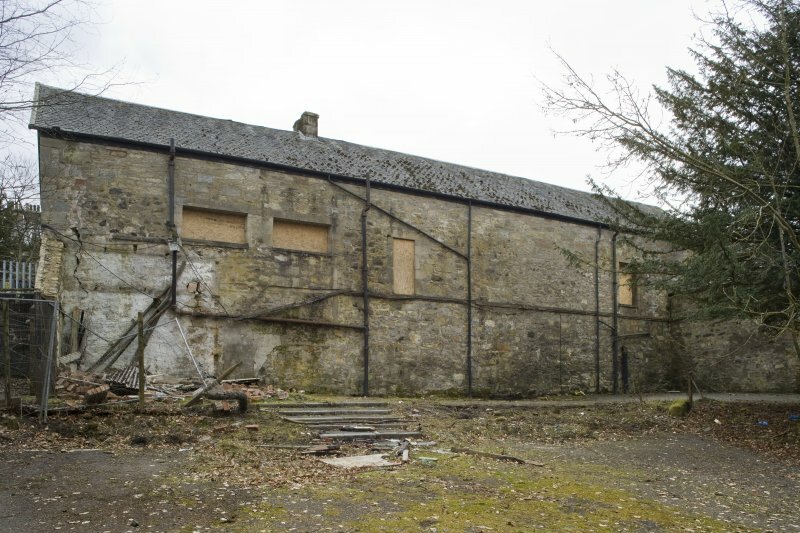 View of the Western Pavilion and courtyard wall at Cumbernauld House, taken from the North-West. 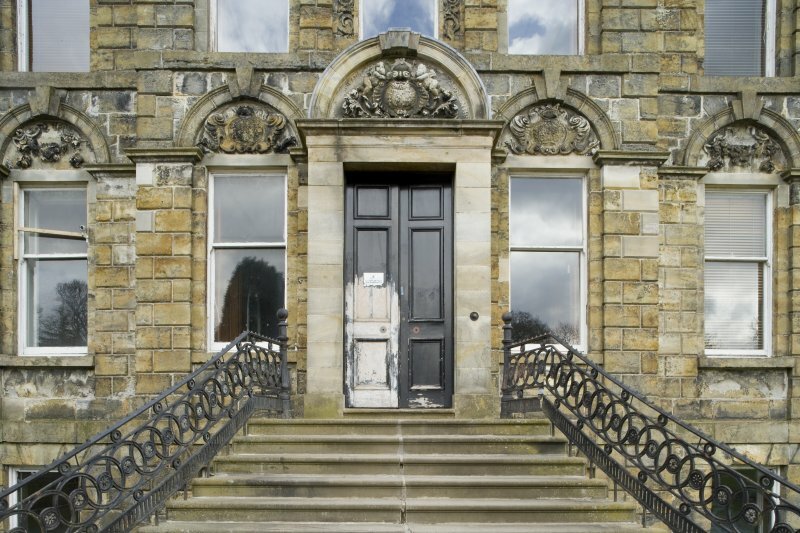 View of the East elevation of the Eastern Pavilion at Cumbernauld House, showing the linking corridor to the main house. 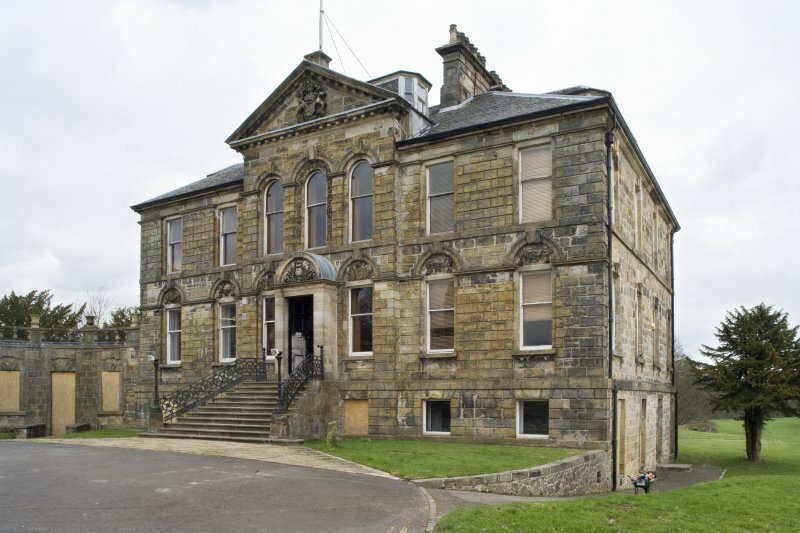 Photograph taken from the South-East. 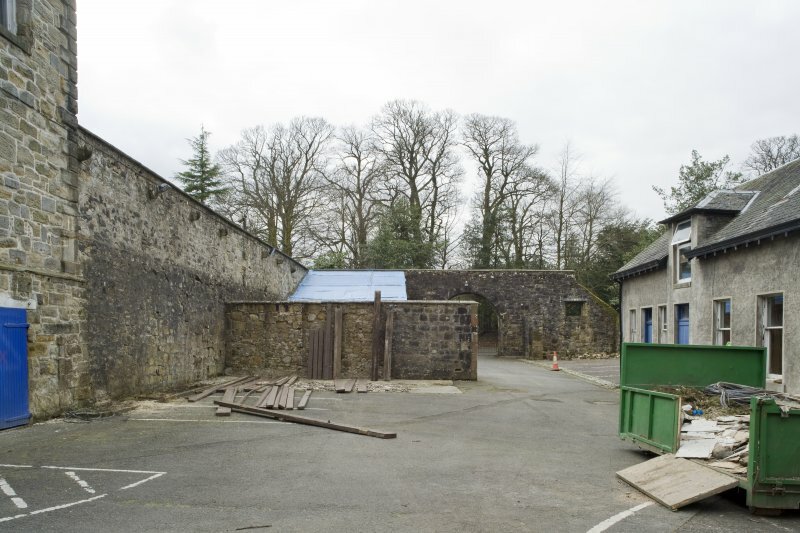 View of courtyard buildings at Cumbernauld House from west-north-west. 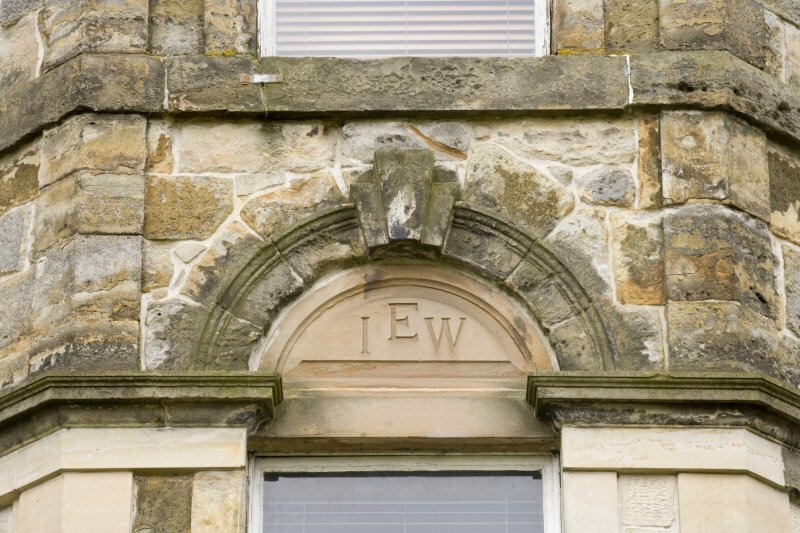 View of the Eastern Pavilion, linking corridor and two Westernmost bays of Cumbernauld House, Cumbernauld. Photograph taken from the South. 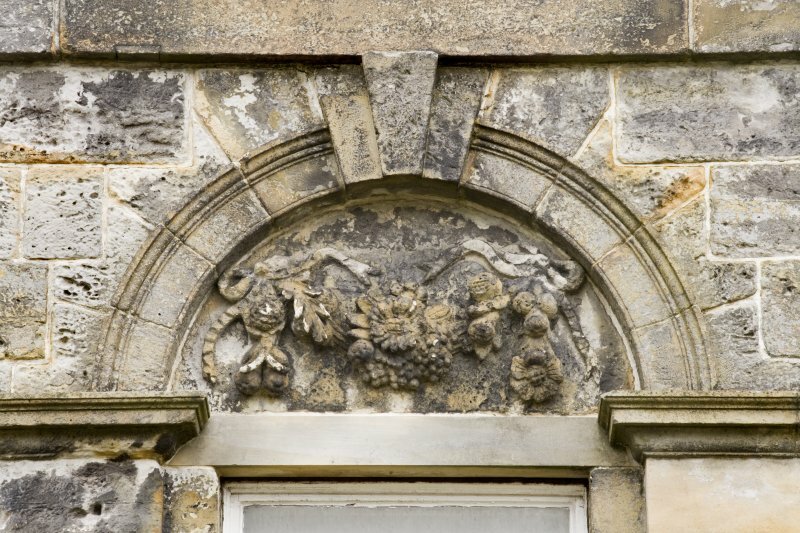 Detail from the North-East elevation of Cumbernauld House, showing the carved stone at first floor level of the central projecting bay. 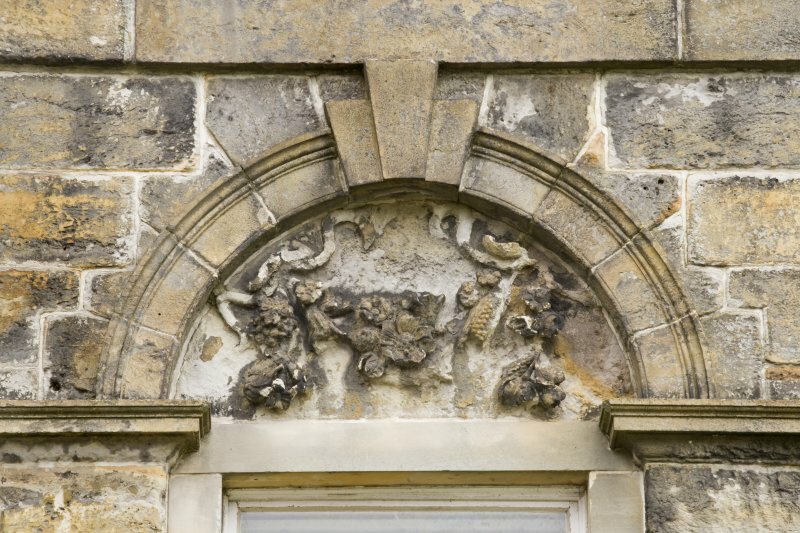 Detail from the North-East elevation of Cumbernauld House, showing the carved stone at ground floor level of the central projecting bay. 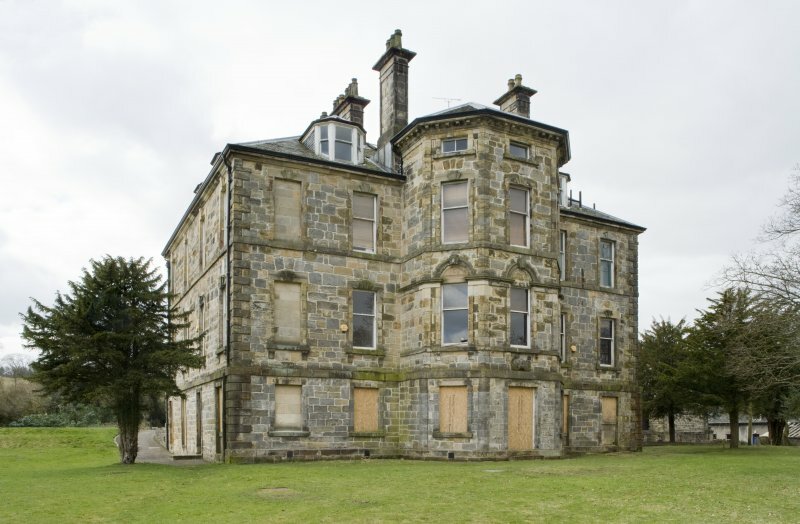 View of Cumbernauld House, Cumbernauld, taken from the South. 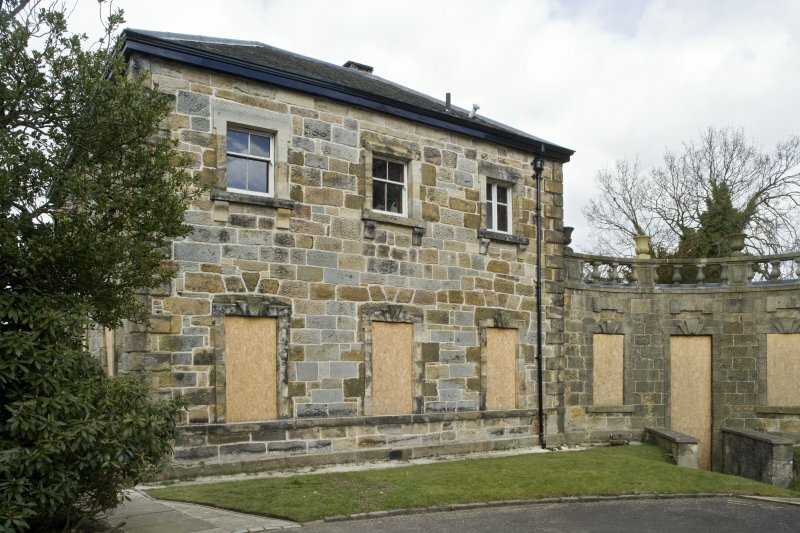 The image shows the South-West (principle) and South-East elevations. 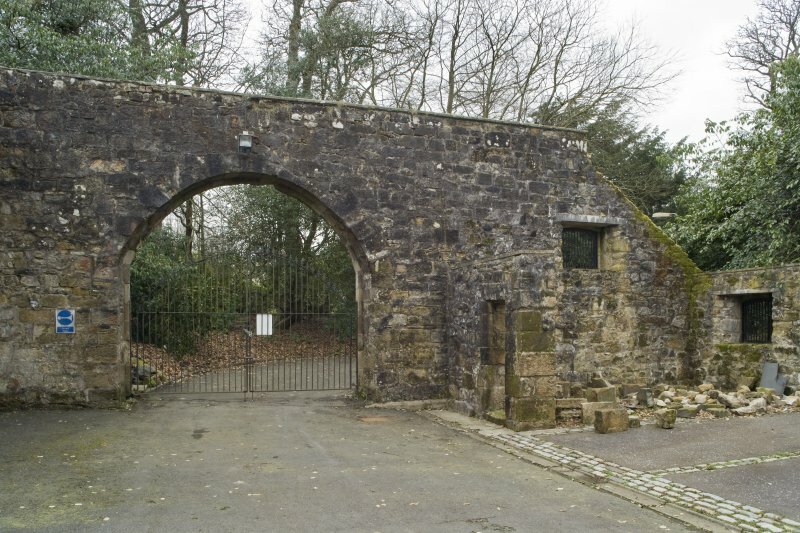 The connecting corridor to the Eastern Pavilion can be seen to the left of the image. Detail of the entrance steps at Cumbernauld House, Cumbernauld. 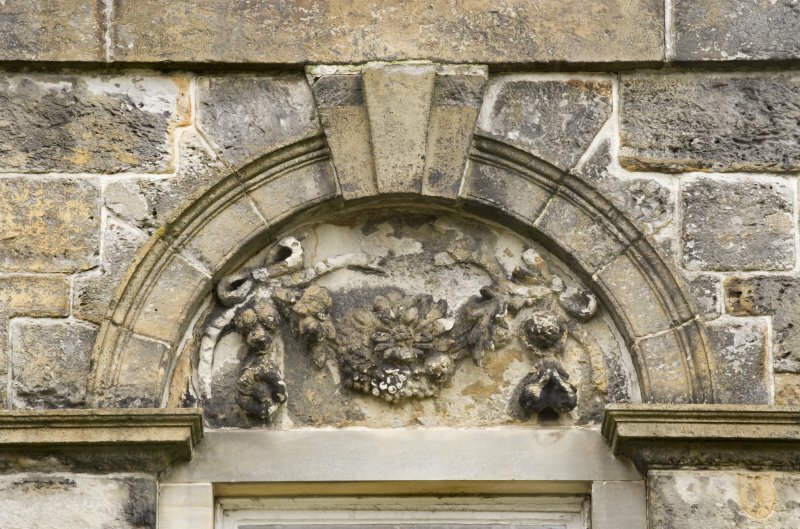 Detail of blocked archway and cupola between the two pavilions at Cumbernauld House, Cumbernauld. 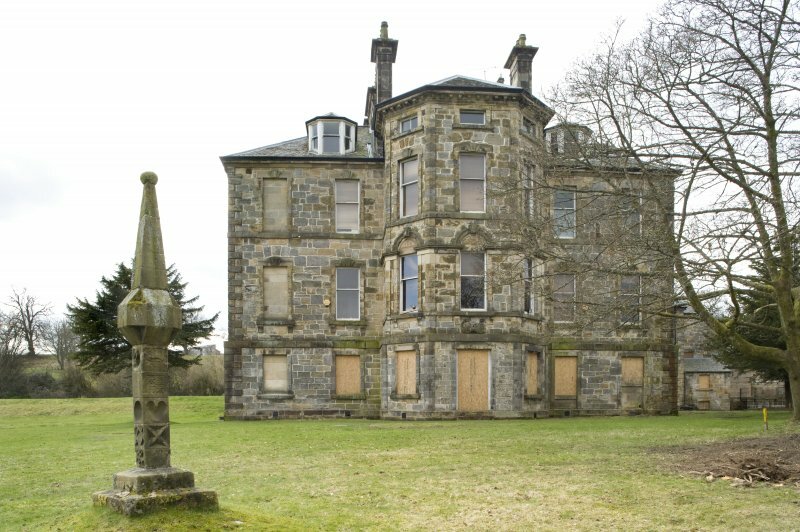 Photograph taken from the South-West. 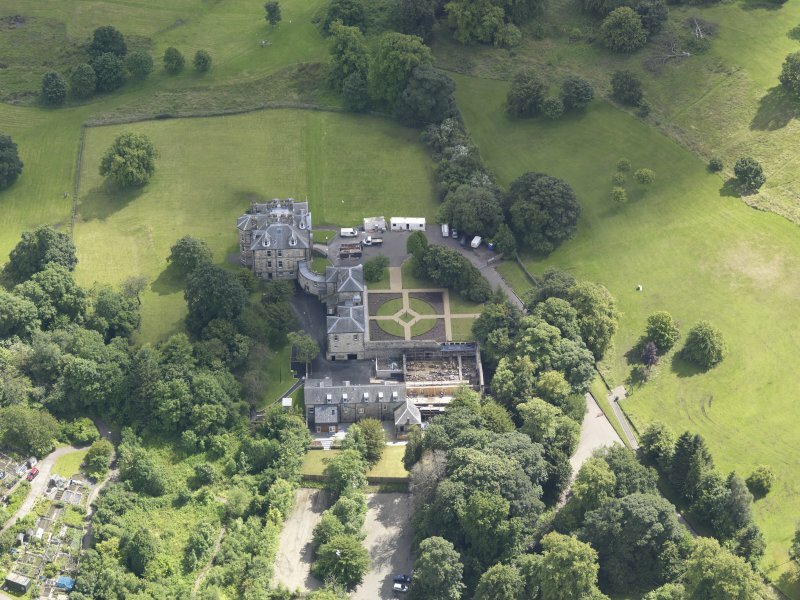 Oblique aerial view of Cumbernauld House, taken from the S.
View of a courtyard outbuilding at Cumbernauld House, Cumbernauld, taken from the West-South-West. 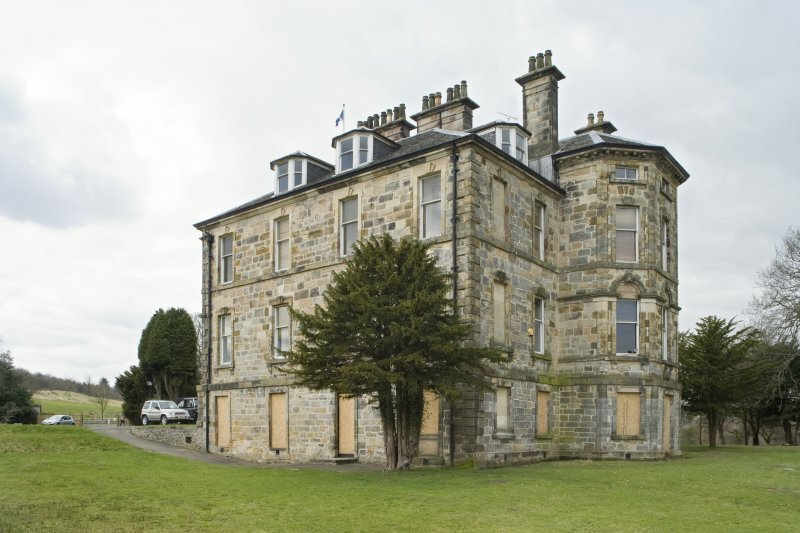 View of the South-West (principle) elevation of Cumbernauld House, Cumbernauld, taken from the South-West. 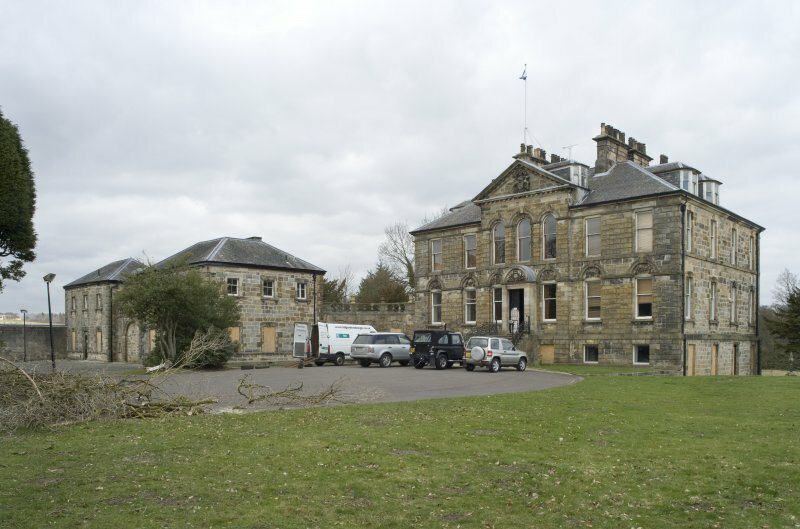 View of the courtyard to the West of Cumbernauld House, taken from the South-West. 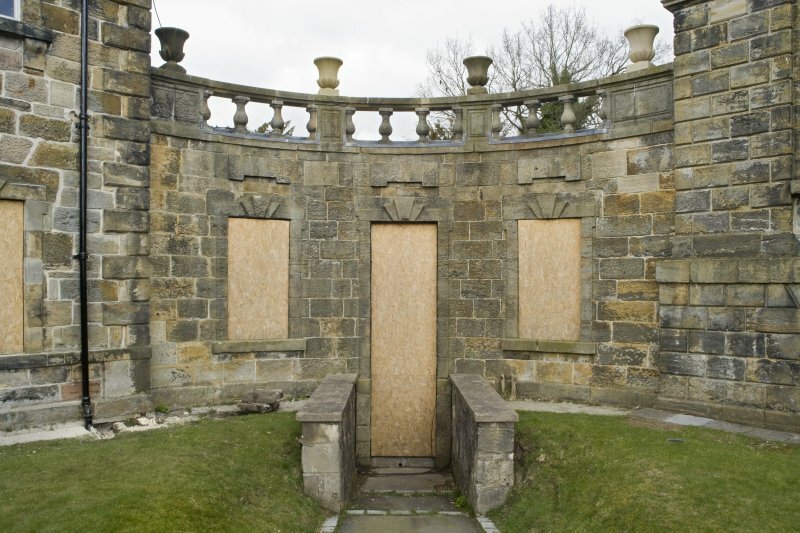 The Western Pavilion can also be seen. 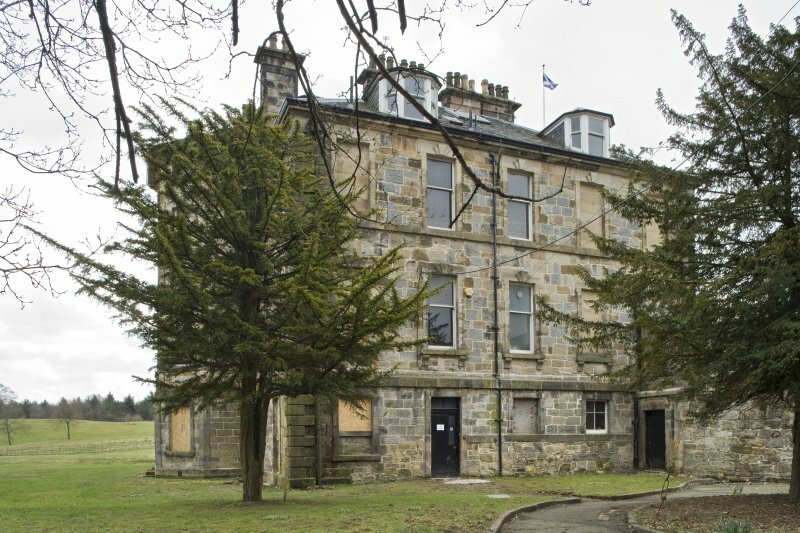 View of the North-East elevation of Cumbernauld House, taken from the North. 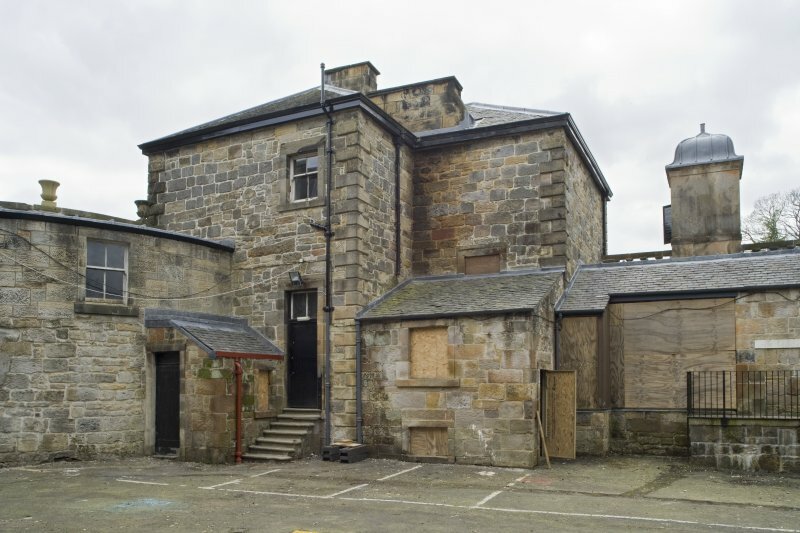 View of the North-Eastern elevation of Cumbernauld House, Cumbernauld, taken from the North-East. 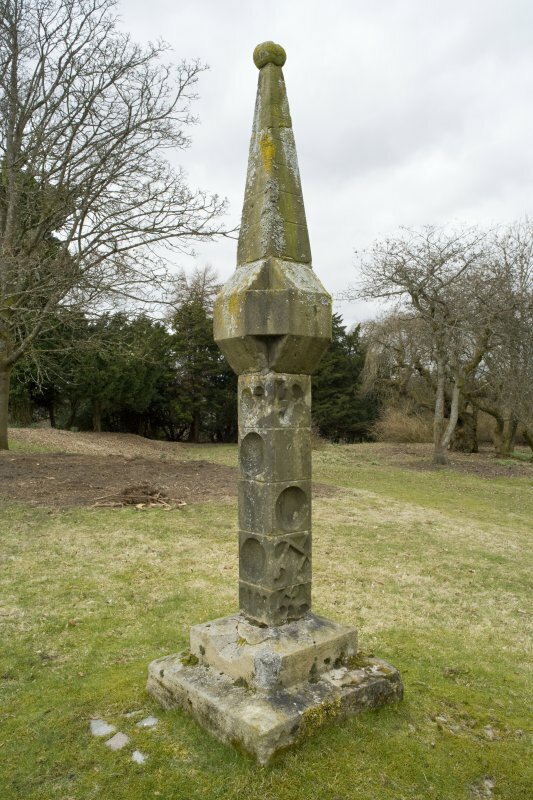 This image also shows the current location of the garden sundial. 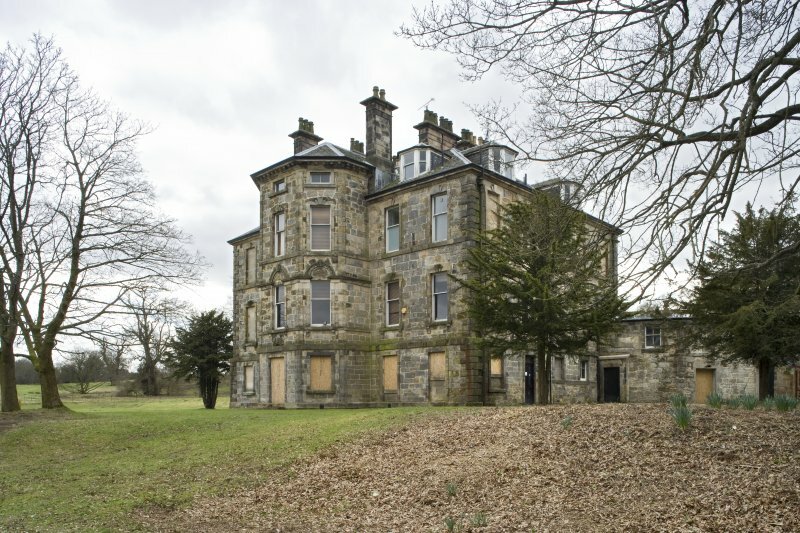 View of the North-Eastern elevation of Cumbernauld House, Cumbernauld, taken from the East-North-East. View of the East Pavilion at Cumbernauld House, taken from the West-South-West. 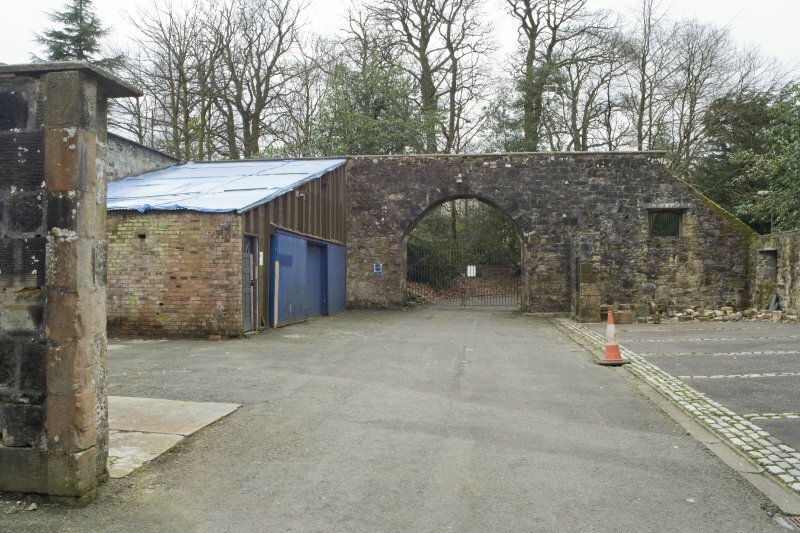 The photograph also shows the blocked archway and cupola above the two pavilions. 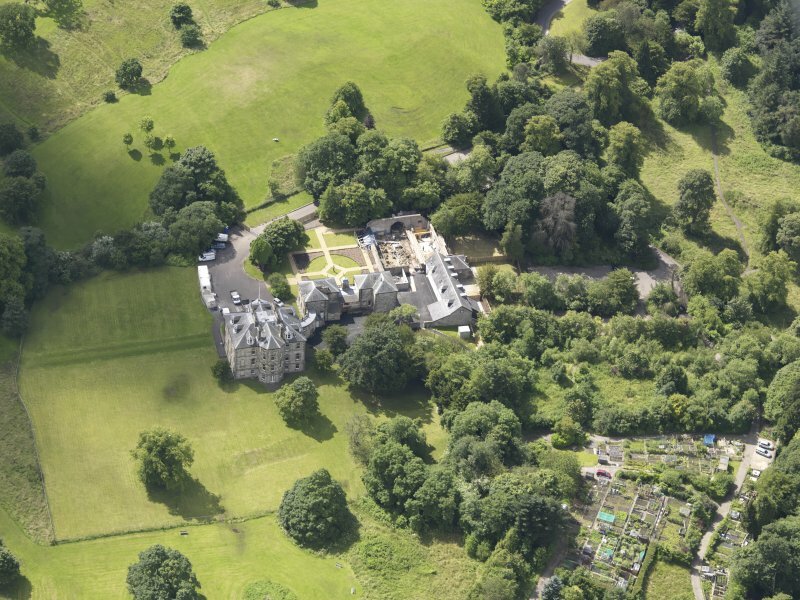 Oblique aerial view of Cumbernauld House, taken from the SW. 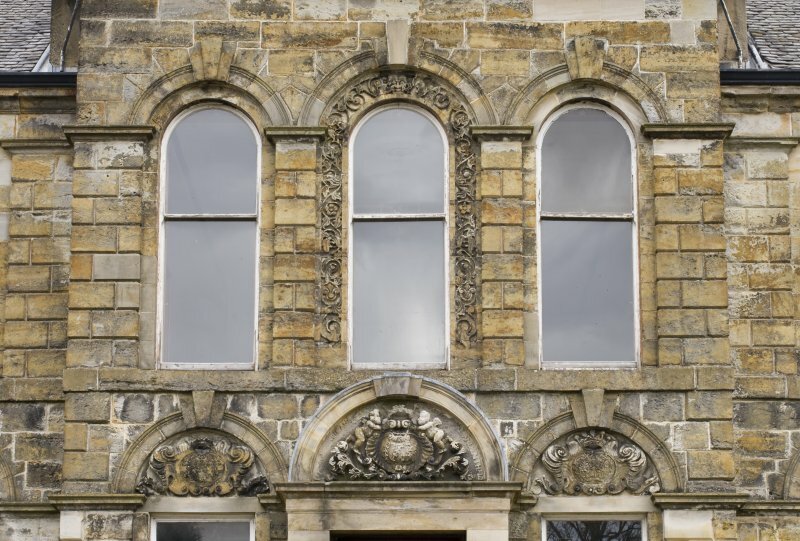 Detail of the first floor windows to the central bay of the South-West (principle) elevation of Cumbernauld House, Cumbernauld. 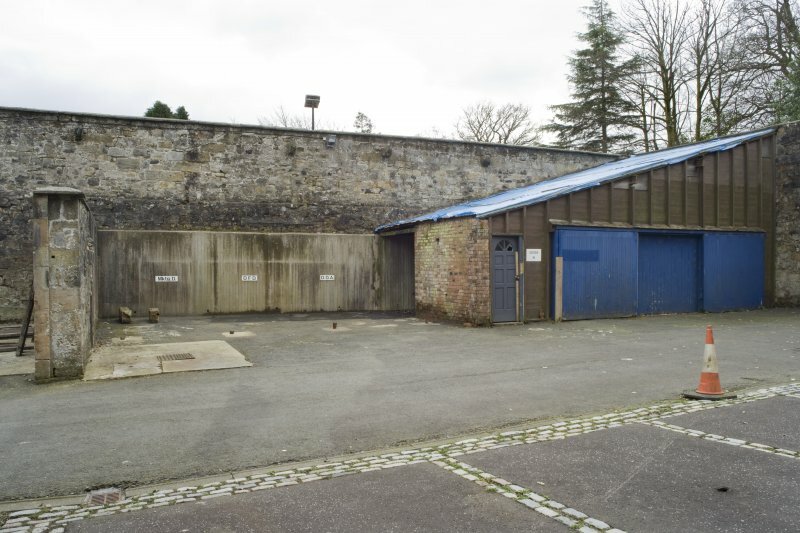 View towards the rear of the Wastern Pavilion at Cumbernauld House, taken from the North-East. 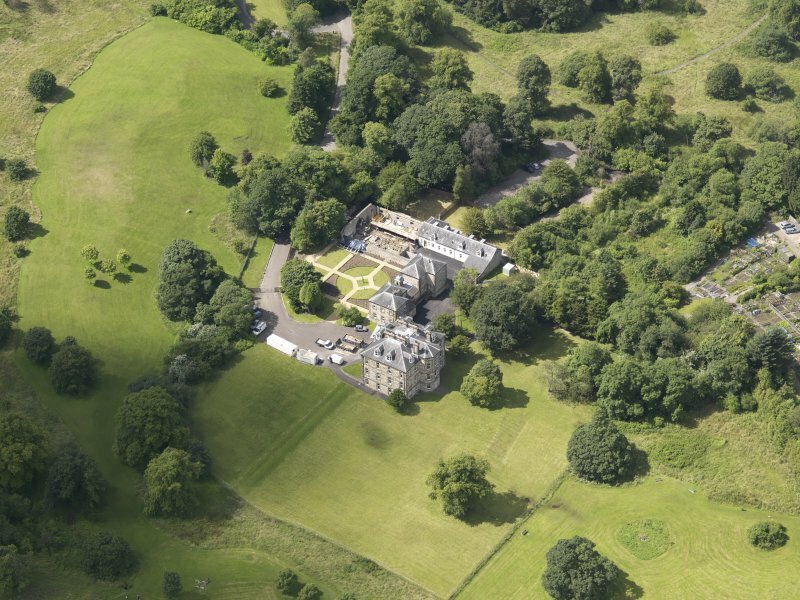 General view of Cumbernauld House, taken from the South-East, showing the South-Eastern elevation of the main house and the Eastern Pavilion. 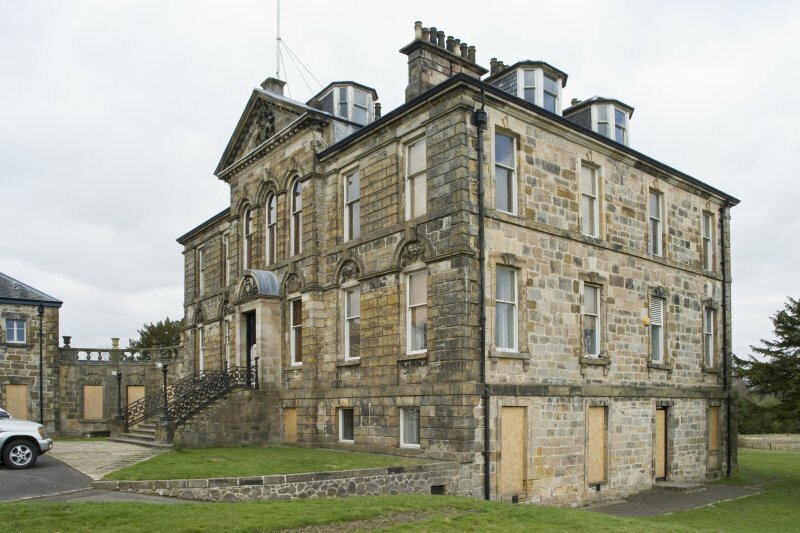 General view of Cumbernauld House, Cumbernauld, taken from the South. 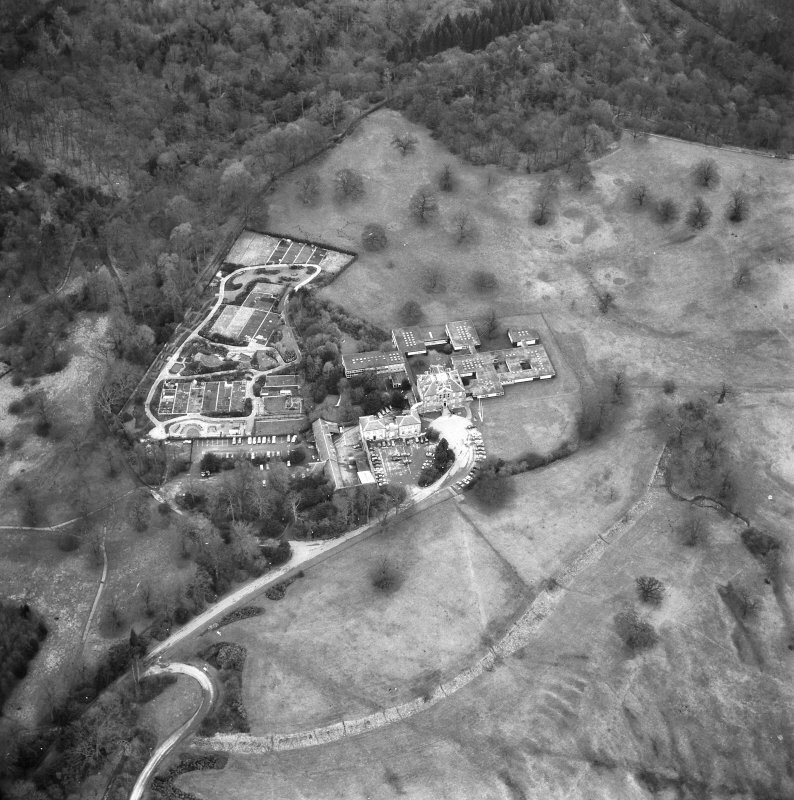 The main house and both Pavilions can be seen to the left of the image. 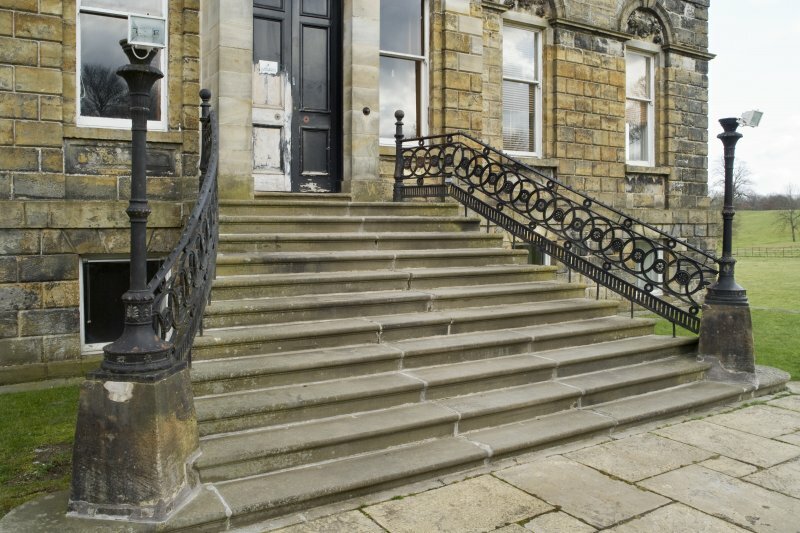 Detail of the main entrance and entrance steps of Cumbernauld House, Cumbernauld. 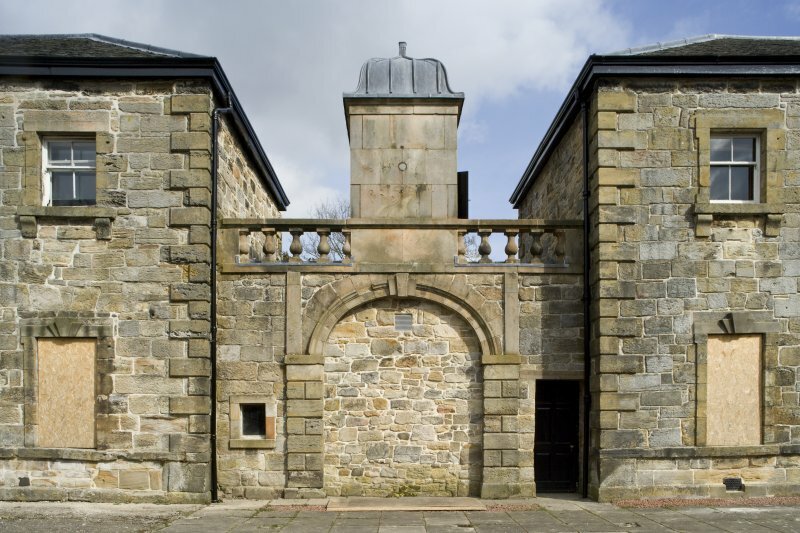 View of the linking corridor between Cumbernauld House and its two Pavilions. 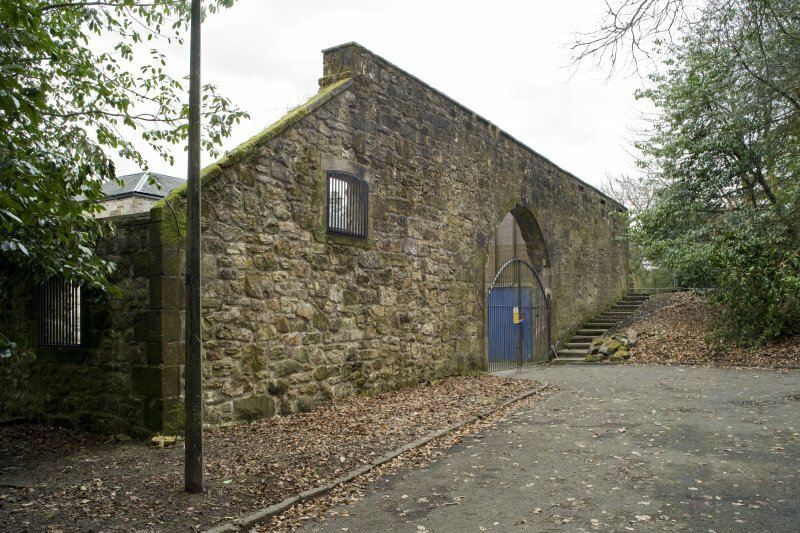 Image taken from the South. 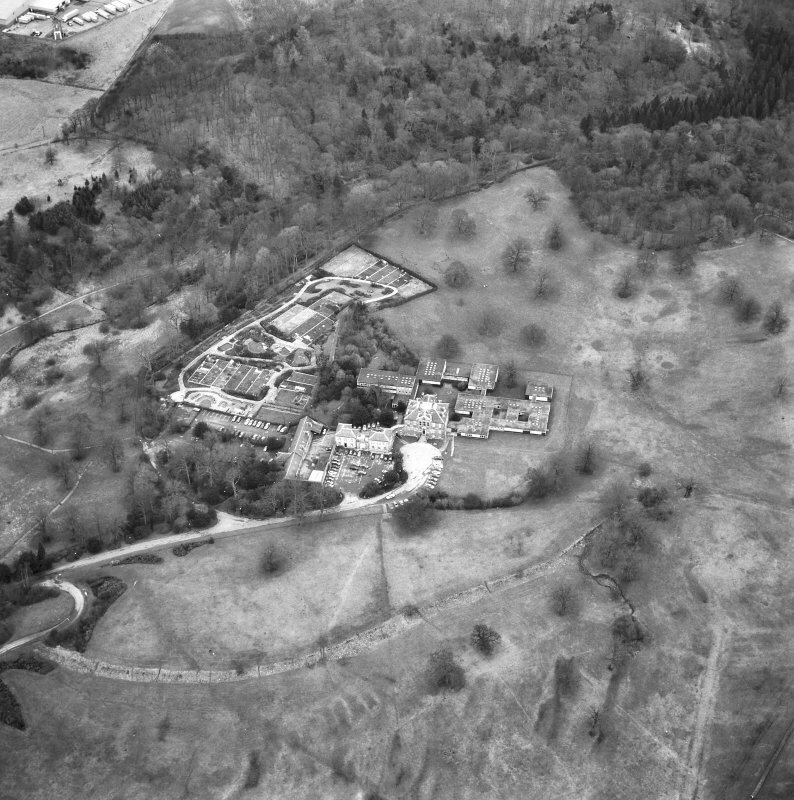 Oblique aerial view of Cumbernauld House, taken from the E.
Oblique aerial view of Cumbernauld House, taken from the SE. 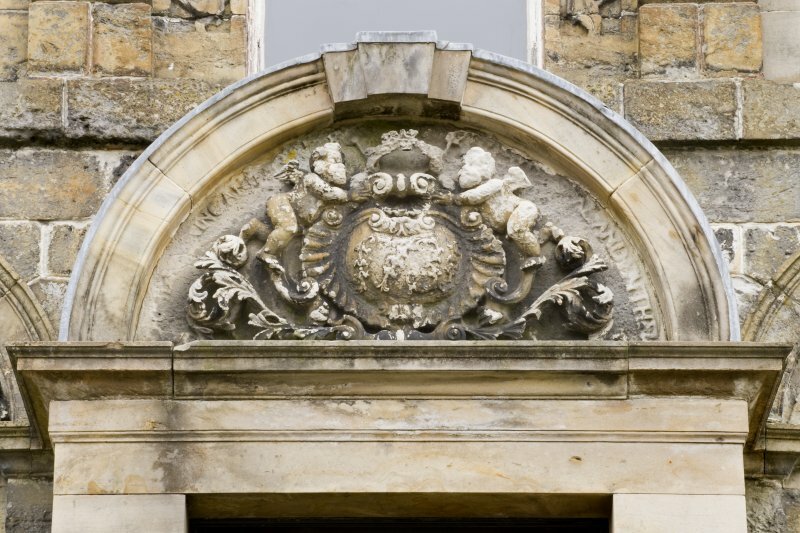 View of the South wall and arched entrance of the Courtyard at Cumbernauld House, Cumbernauld, taken from the West. 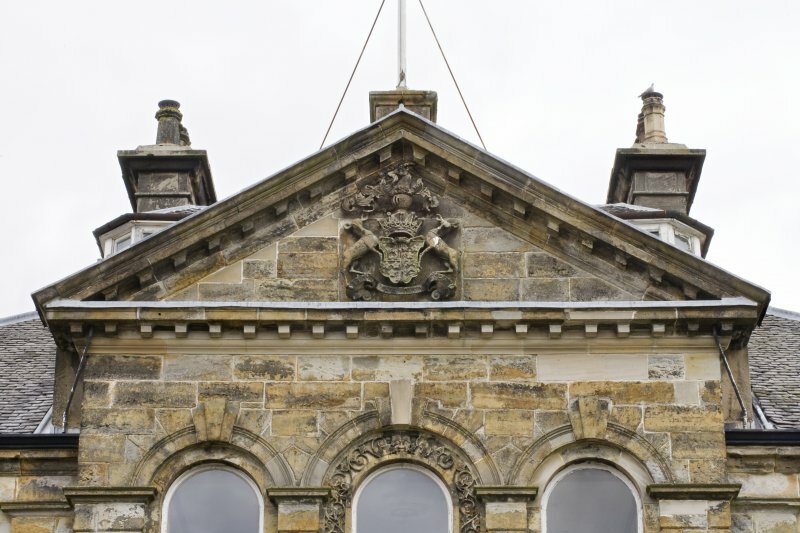 View of the South-Eastern elevation of the Eastern Pavilion at Cumbernauld House, Cumbernauld. 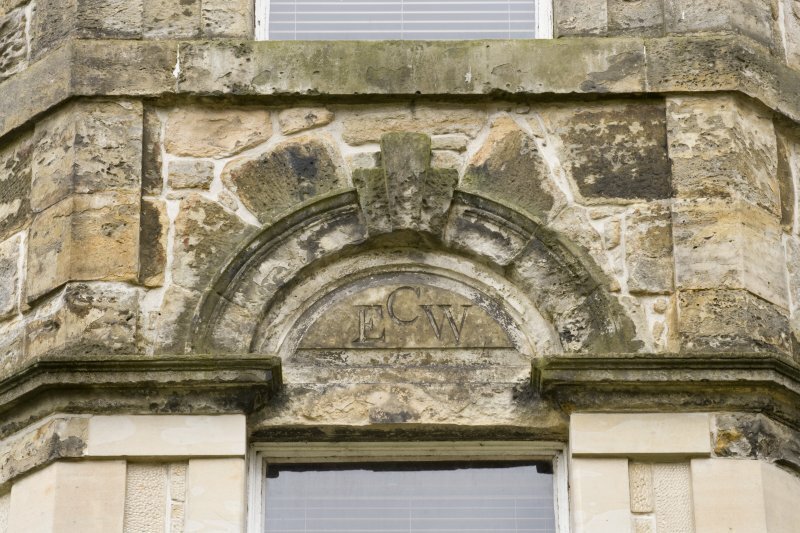 Detail of the main entrance door to the South-West (principle) elevation of Cumbernauld House, Cumbernauld. 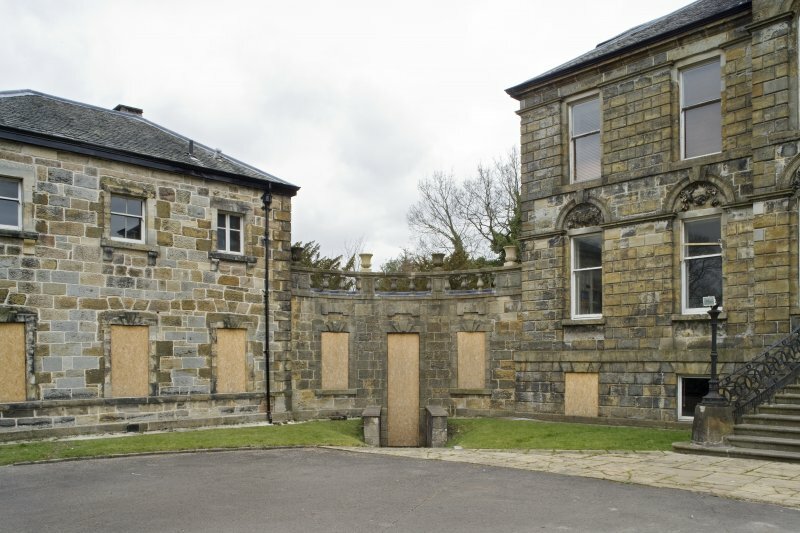 View of the courtyard to the West of Cumbernauld House, taken from the South. 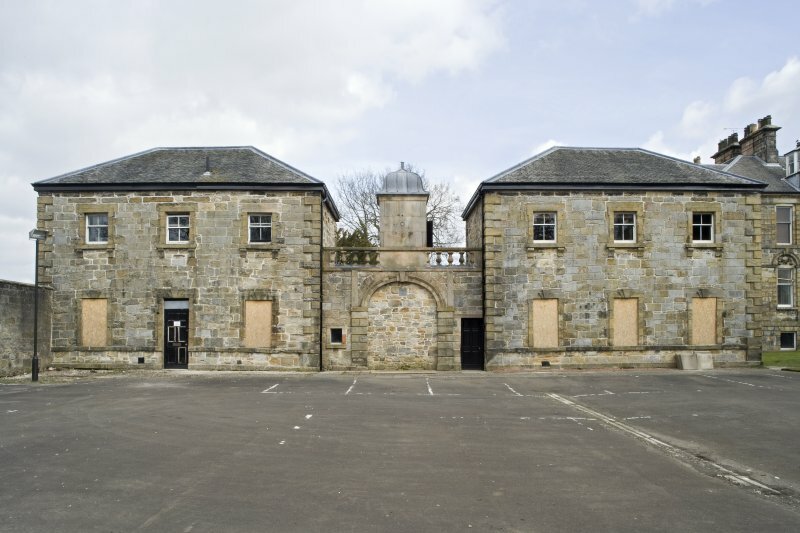 View of the courtyard to the West of Cumbernauld House, taken from the North-East looking towards the entrance arch. 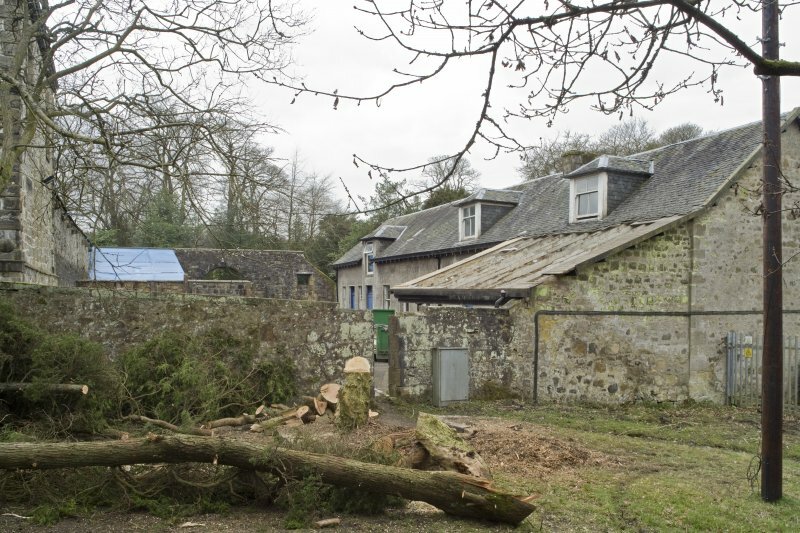 View towards the rear of the Eastern Pavilion at Cumbernauld House, taken from the North. 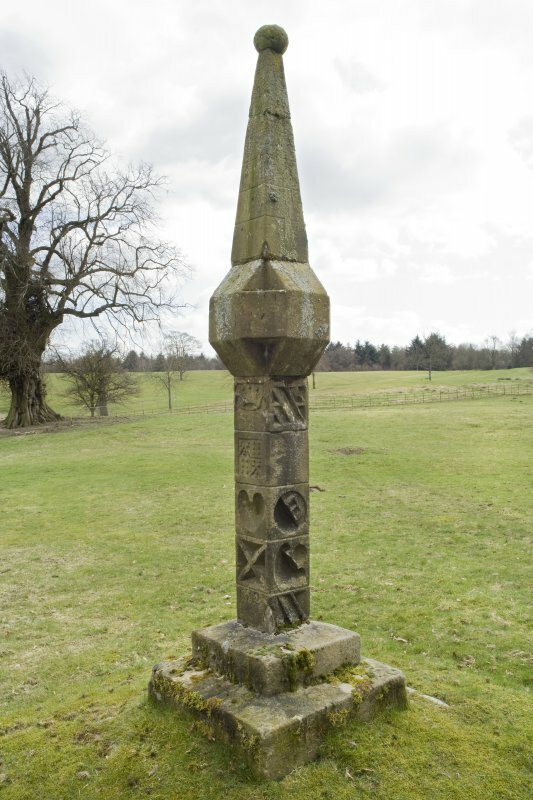 Detail of the garden sundial, situated to the North-East of Cumbernauld House, Cumbernauld. 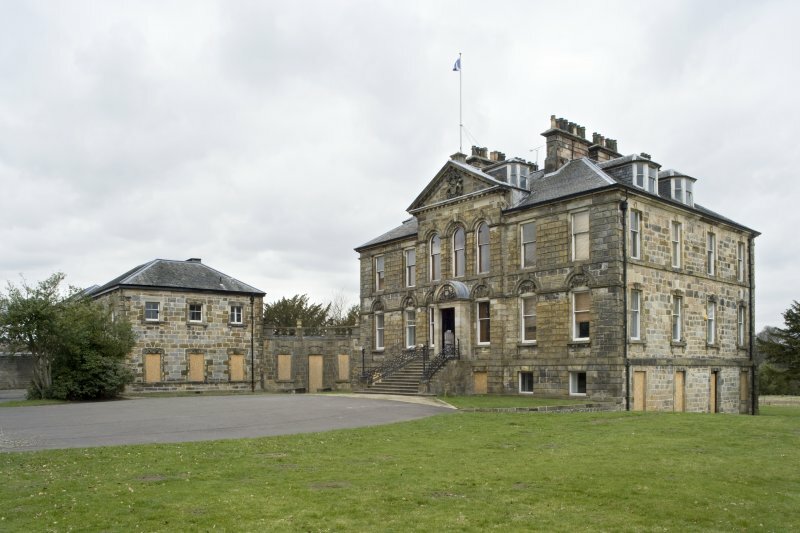 View of the West Pavilion at Cumbernauld House, taken from the South-South-West. 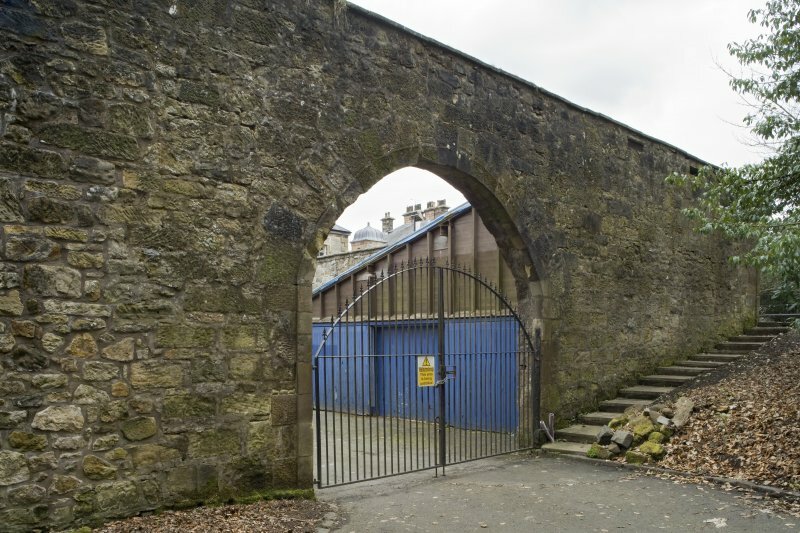 The photograph also shows the blocked archway and cupola between the two pavilions. 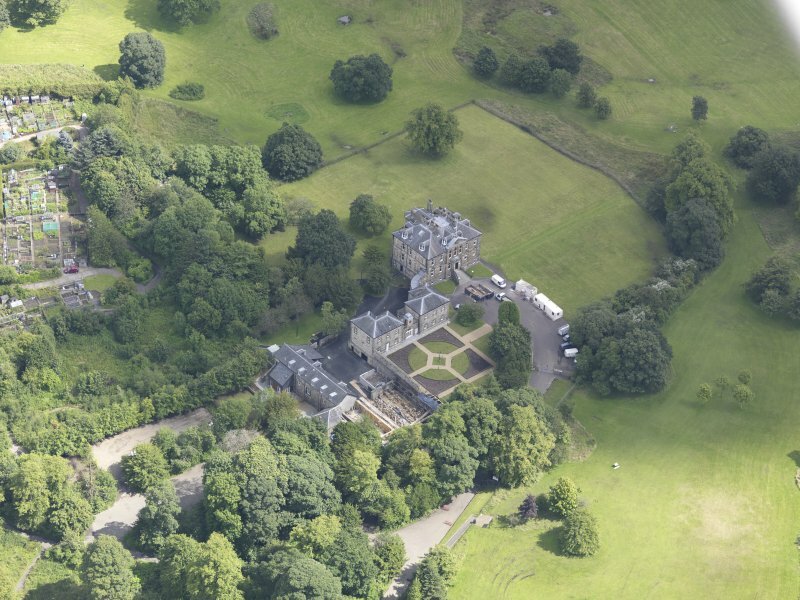 Oblique aerial view of Cumbernauld House, taken from the NE. 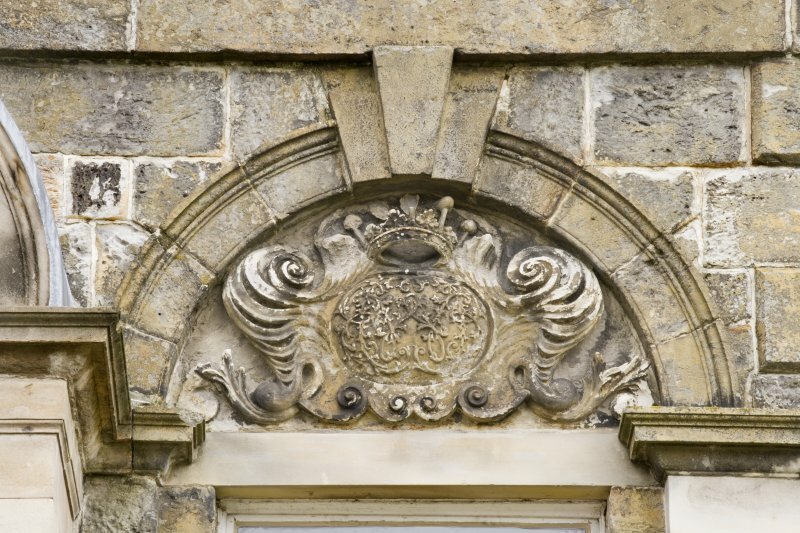 Detail of the arched pediment above the main entrance door of the South-West (principle) elevation of Cumbernauld House, Cumbernauld. 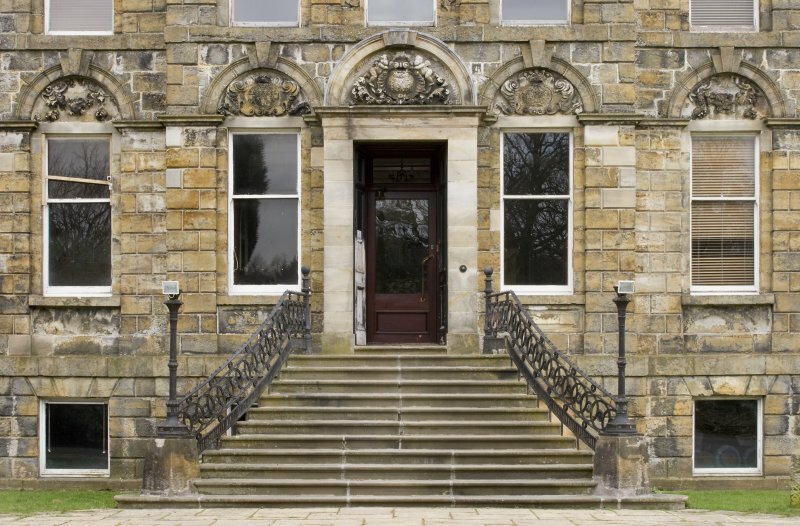 Detail of the main, central entrance steps to the South-West (principle) elevation of Cumbernauld House, Cumbernauld. 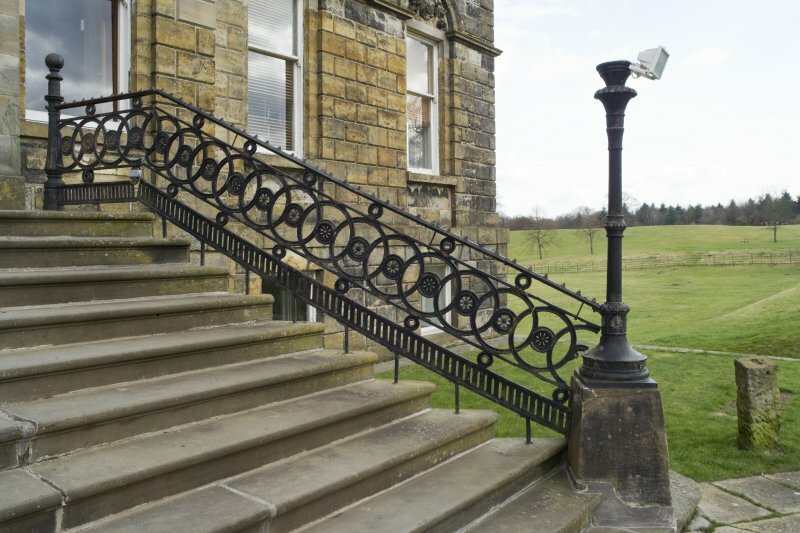 View of the rear steps to the West Pavilion at Cumbernauld House. 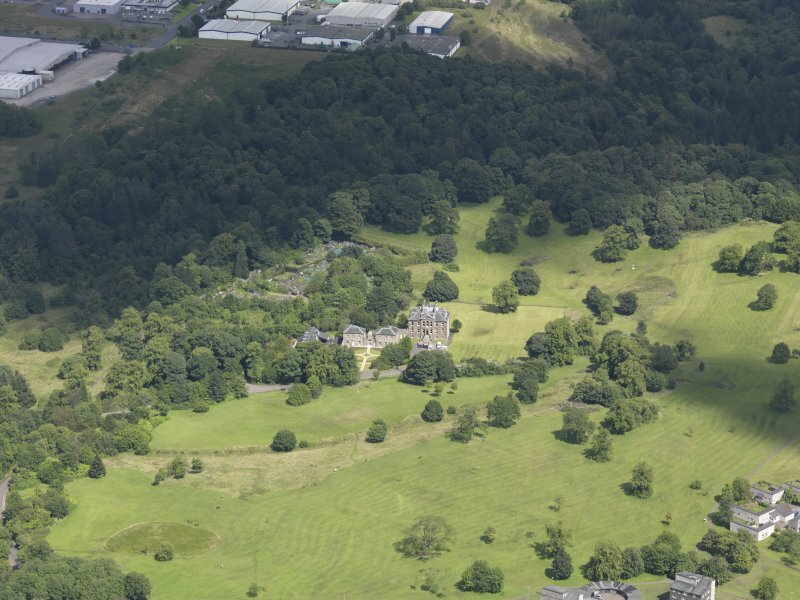 View of Cumbernauld House, Cumbernauld, taken from the East. 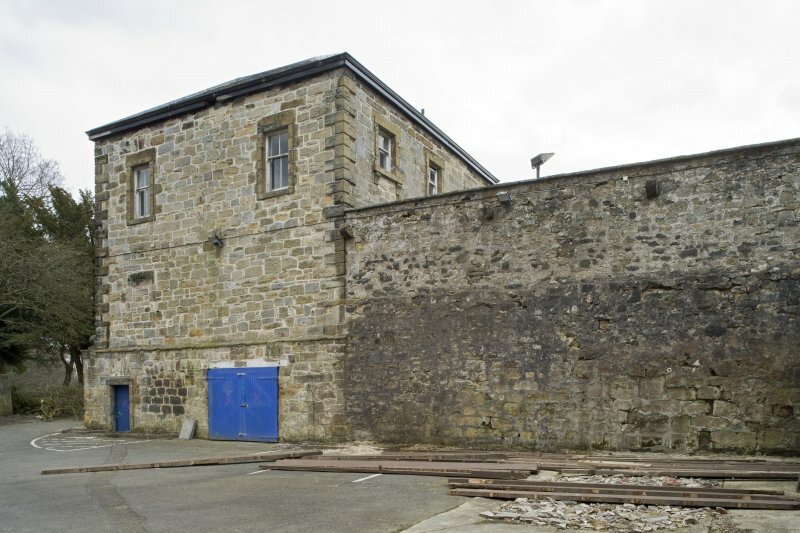 The image shows the South-East and North-East elevations. 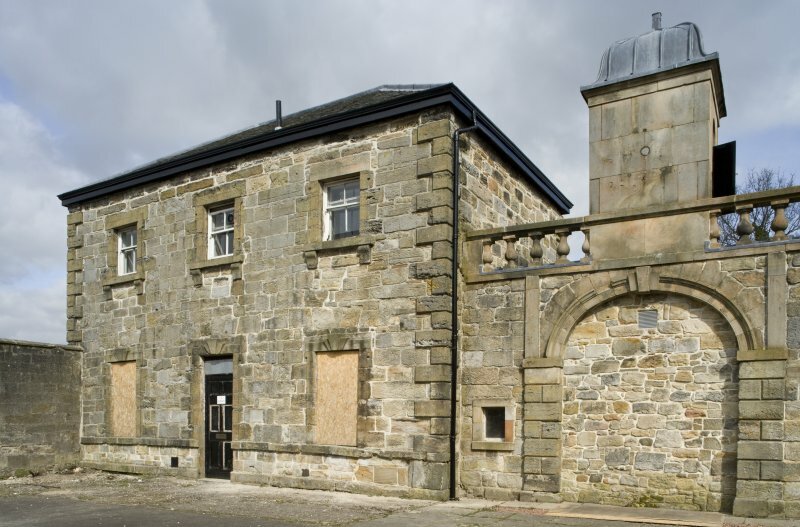 View of the East elevation of the Eastern Pavilion at Cumbernauld House, Cumbernauld. 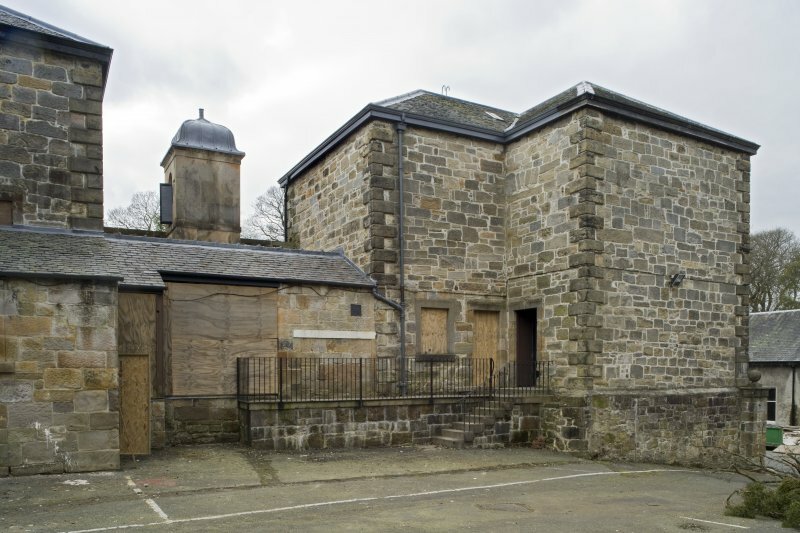 Taken from the South-South-East. 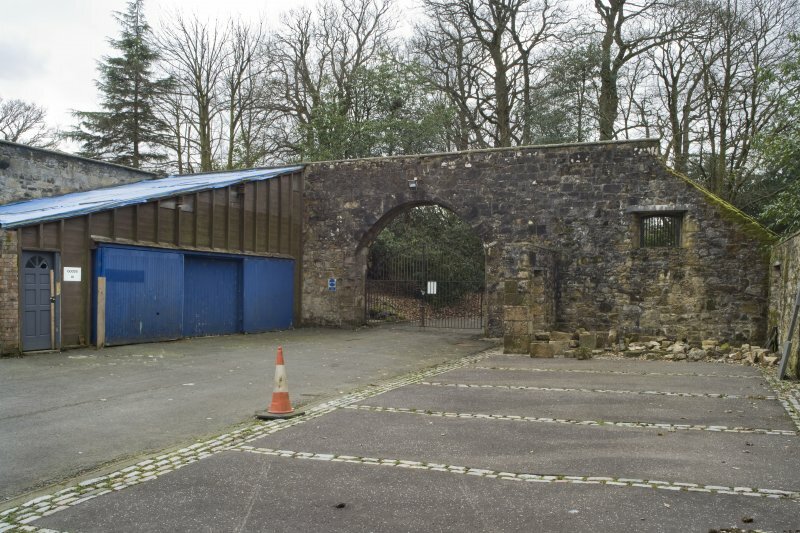 View of the Pavilions at Cumbernauld House, Cumbernauld, taken from the South. 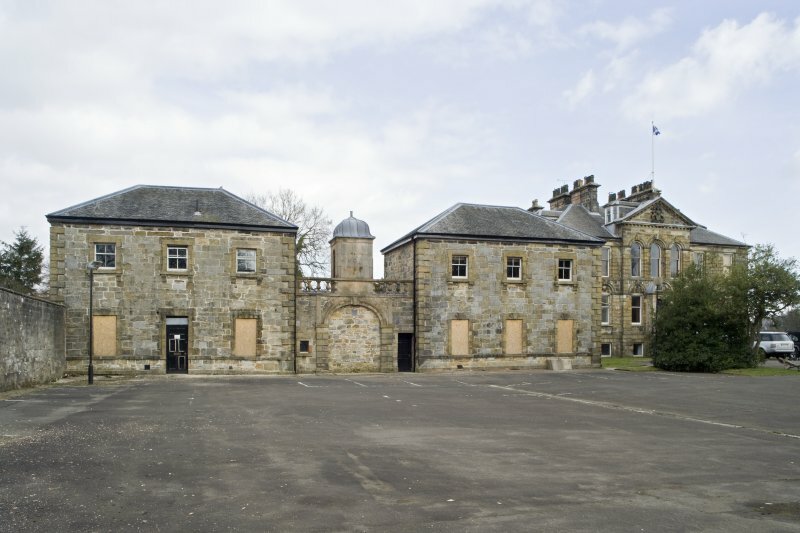 View of the pavilions at Cumbernauld House, taken from the South-West. 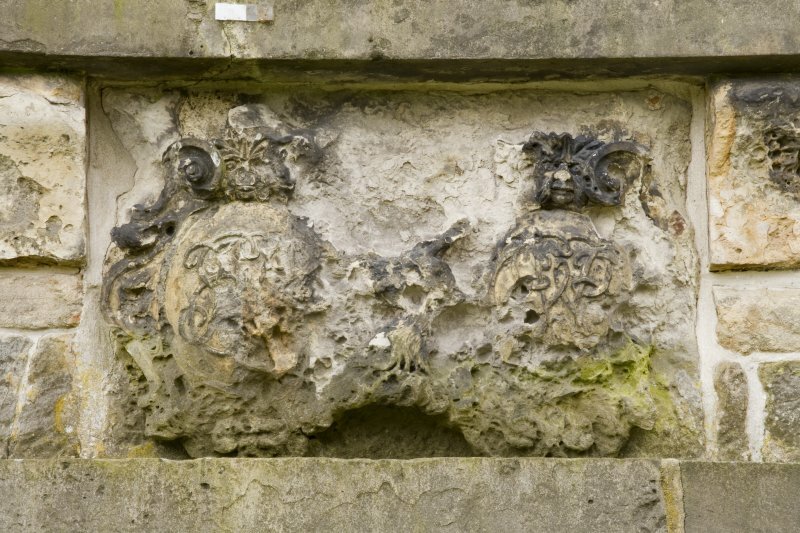 Oblique aerial view of Cumbernauld House, taken from the W.
Detail of the central pediment to the South-West (principle) elevation of Cumbernauld House, Cumbernauld. 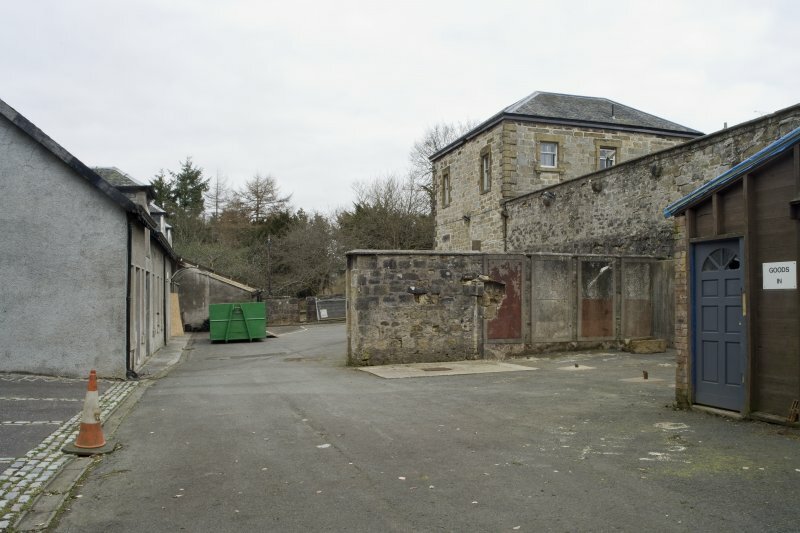 General view of the courtyard to the West of Cumbernauld House, taken from the North-East. 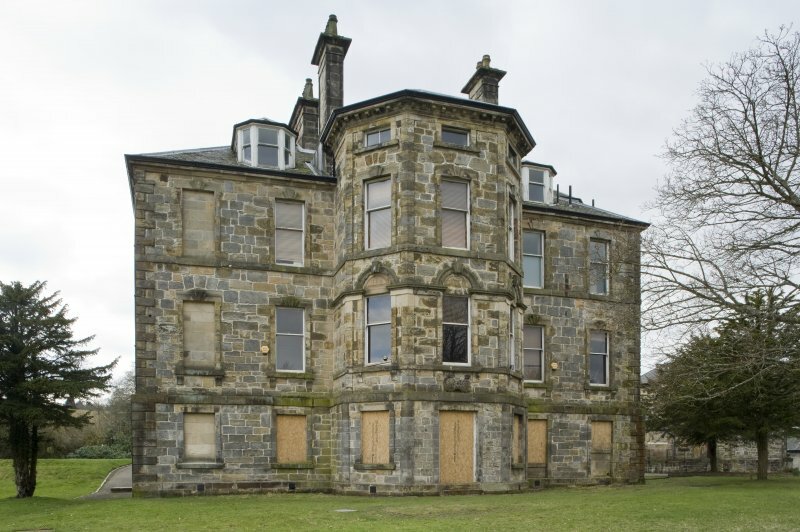 View of the North-West elevation of Cumbernauld House, taken from the North-West. 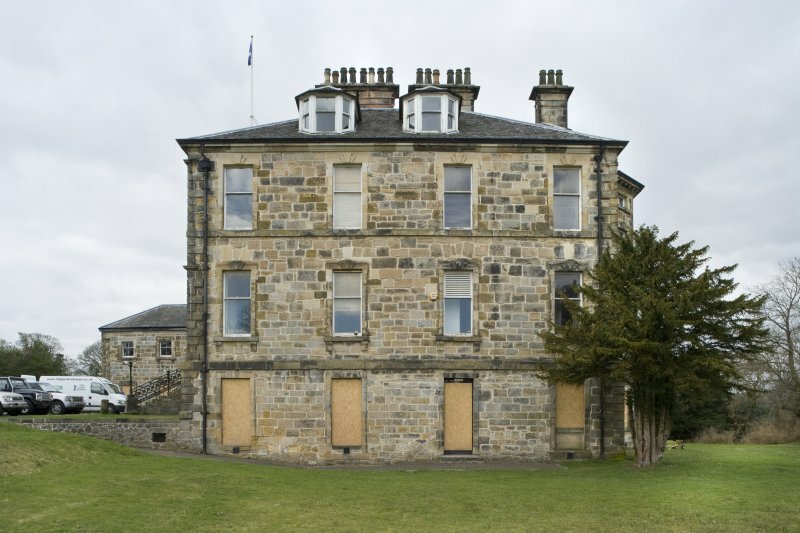 View of the North-Eastern elevation of Cumbernauld House, Cumbernauld, taken from the North-East. 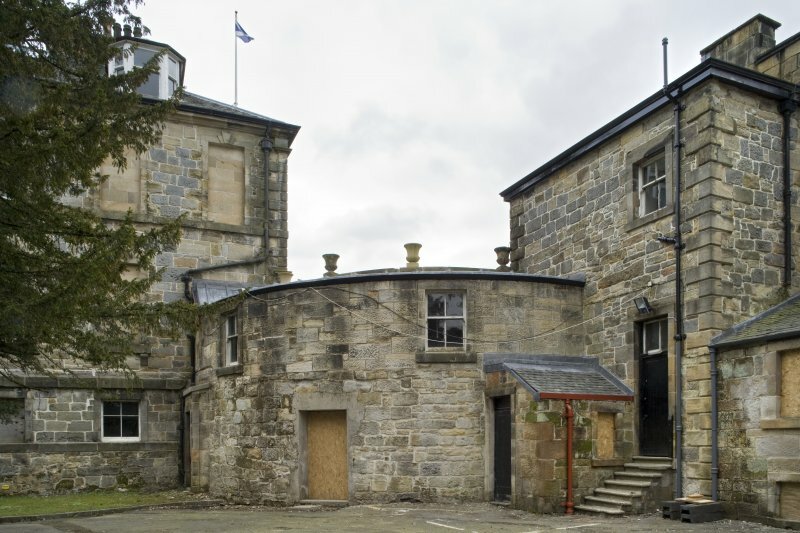 General view of the Pavilions at Cumbernauld House, Cumbernauld, taken from the South-West. 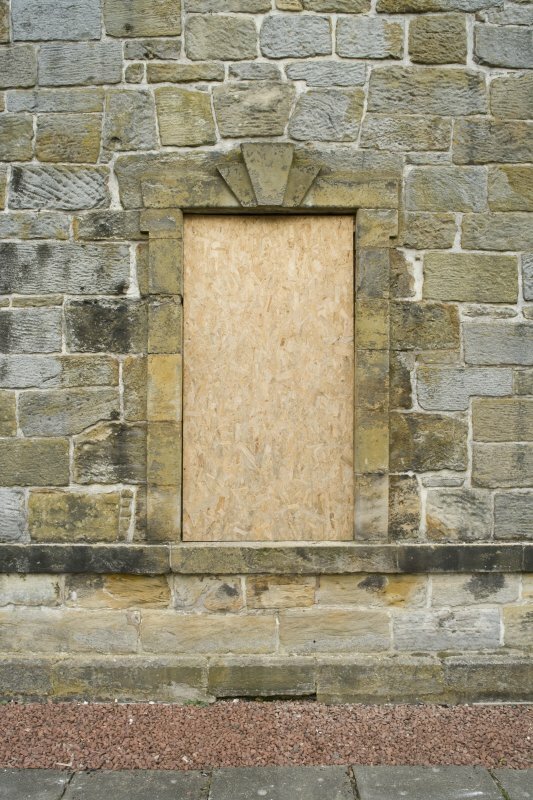 Detail of a typical ground floor window of the Pavilions at Cumbernauld House, Cumbernauld. 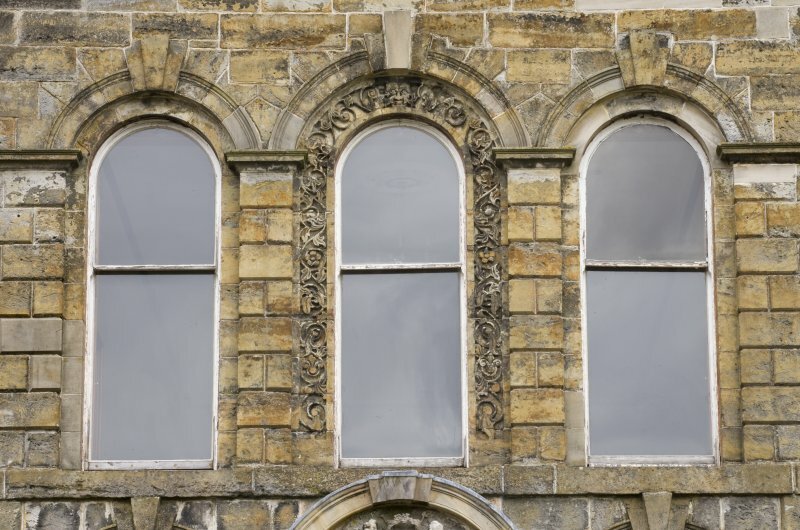 This photograph is of a window on the East Pavilion. 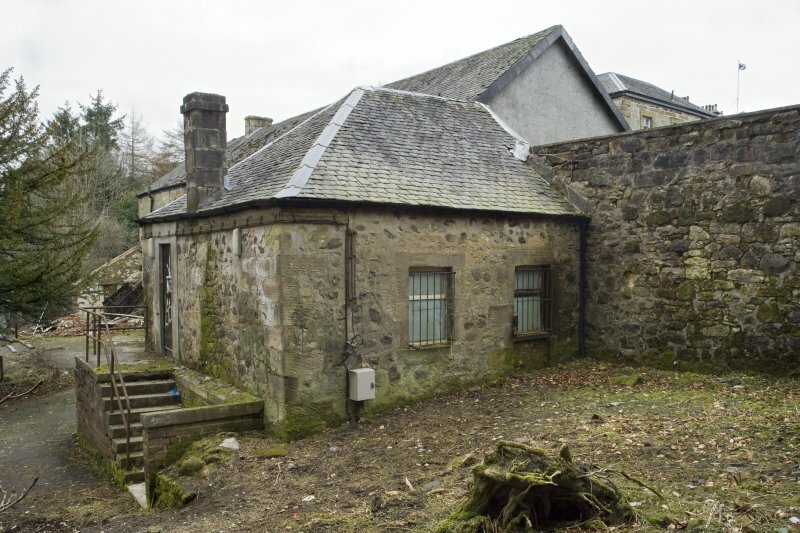 The old castle or house of Cumbernauld was converted into stables after the building of a new mansion in 1731. 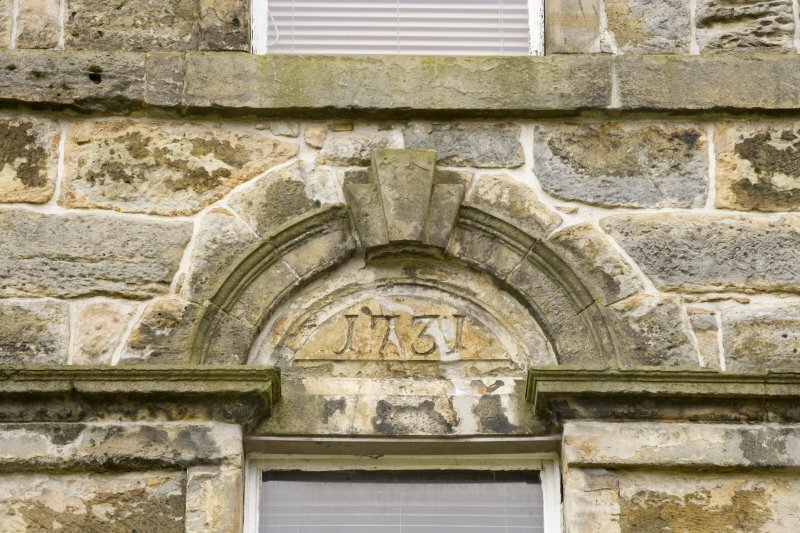 During the 1745-6 Rebellion, the old building was burnt to the ground by a party of dragoons. NS 7718 7592. 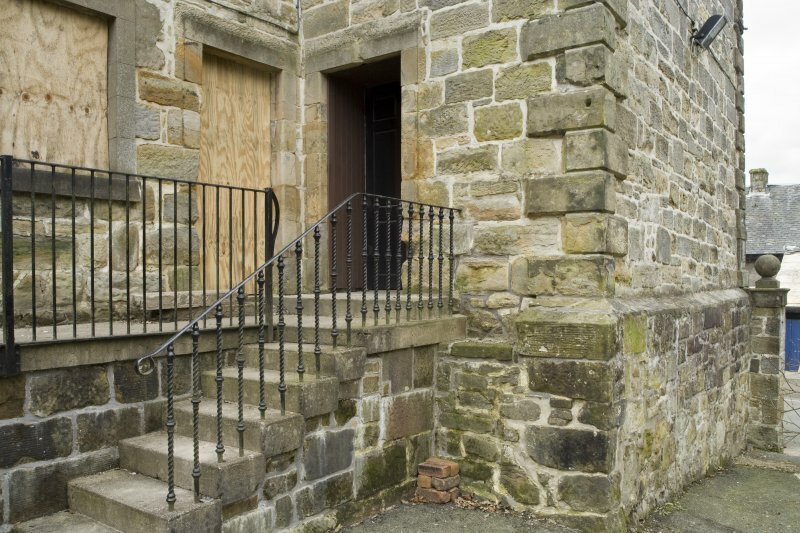 The stables bear no indication of any architectural features earlier than 18th / 19th century date. 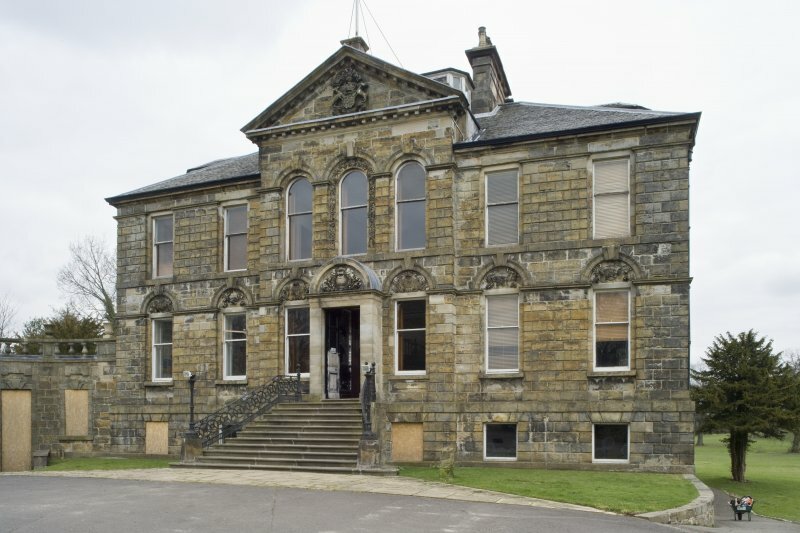 Cumbernauld House is now the headquarters of the Cumbernauld Development Corporation. 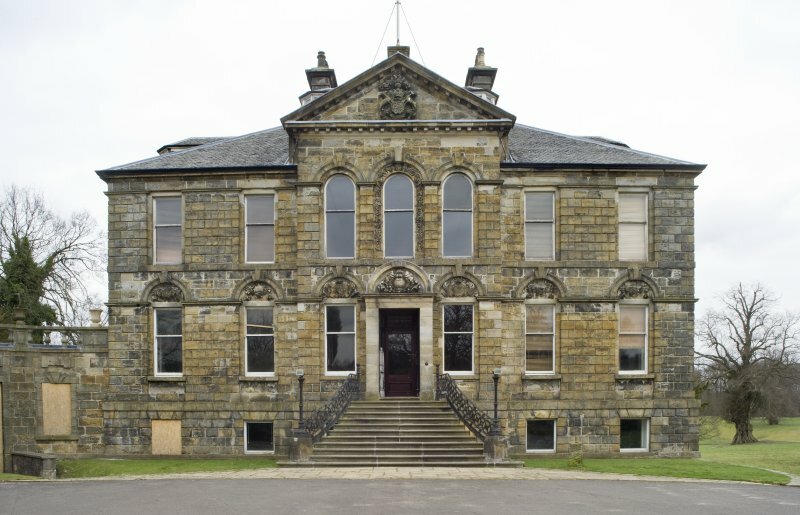 Roman Catholic Archdiocese of Glasgow Diocesan Office, Clyde Street, Glasgow, Drawings Collection. 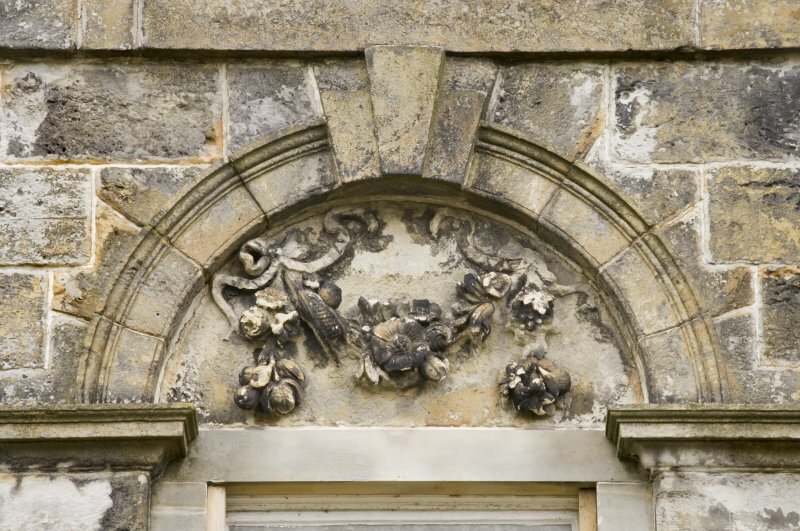 AOC Archaeology Group undertook a watching brief in August 2011 at Cumbernauld House.